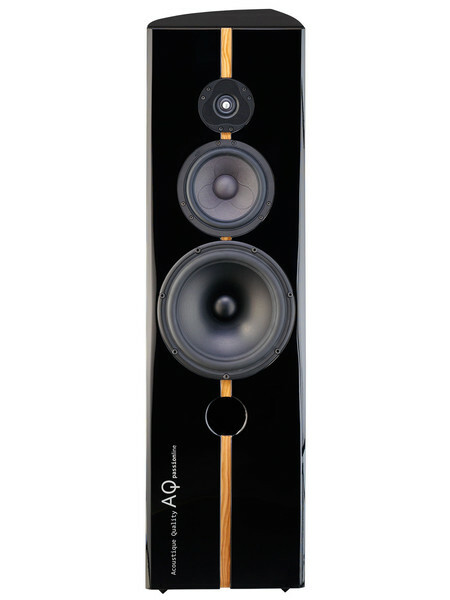 The AQ trademark first appeared in 1992 when the company resumed loudspeaker production in Litovel. First models were targeted at the consumer market providing good quality sound with high specification at affordableprices. 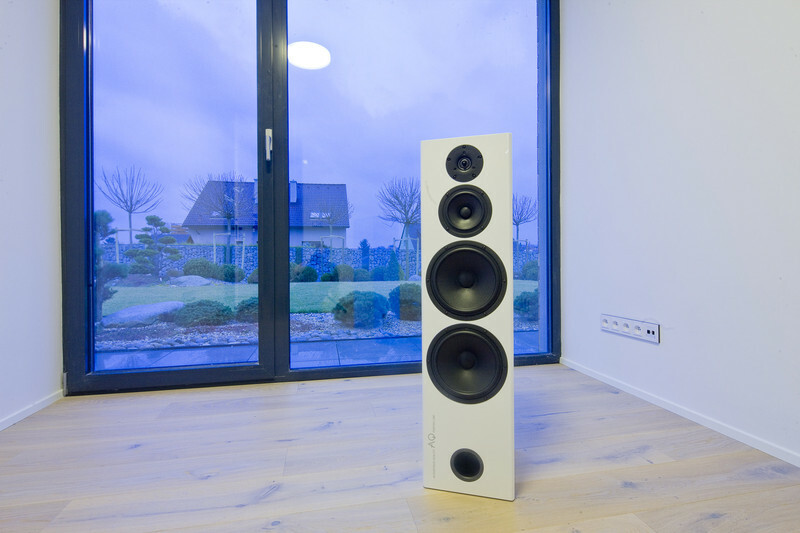 This is when the first completed line 2XX was launched using only Czech TVM speakers. 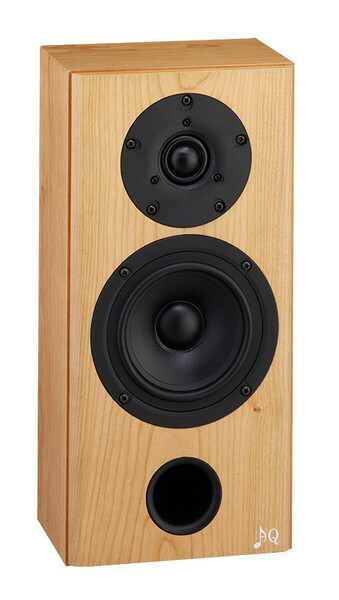 Over time, we beganto use Danish Vifa speakers for our higher end models. Inspired by our early successes, we developed other high-endlines such as the Baltic, Dino and Snow-white using top Danish Scan-speak drivers. Around this time, demands were growing for specialist professional applications in arenas such as theatres, studios, concert halls etc. This growthin trade significantly increased our production and we heavily invested in modern CNC machining technology and precision measuring devices that equipped us with the tools to mass produce as well as specialise on high-end projects. Dimensioni : larghezza 140 mm - Altezza 250 mm - Profondita' 190 mm - Peso 2.7kg - Volume interno 3.6 l - Impedenza 8 ohm - Potenza nominale 40w - Potenza musicale 100w - Sensibilita' 85/1w/1m - Risposta in frequenza 75hz-20khz a 10db - Crossower :6.6 db/oct - Finiture: nero ,legno naturale,quercia,,bianco. 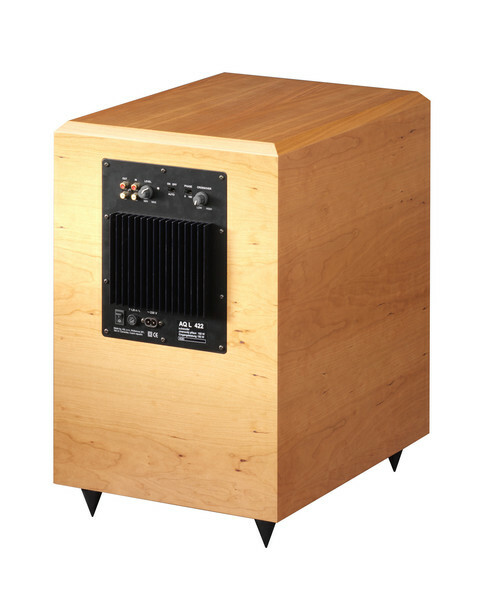 Compact two-way loudspeaker with rear ported design. 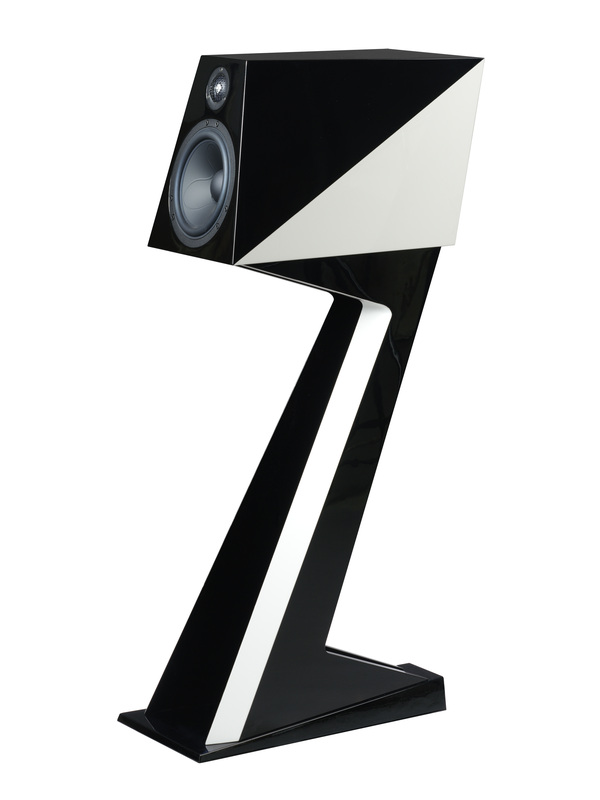 Features high quality 4 ½” mid-bass with coated paper cone; steel frame and precise ¾” ferrofluid cooled tweeter. Tango 82 is designed for installations where space restrictions do not allow bigger enclosure yet high fidelity reproduction is required. 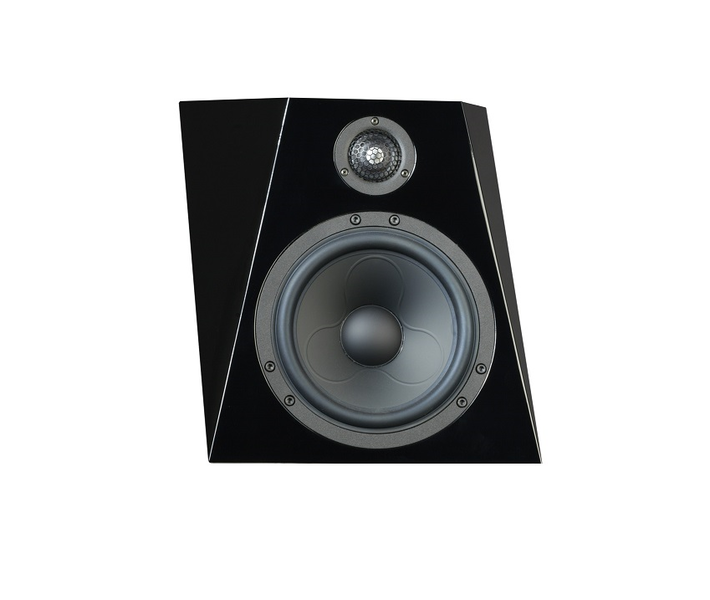 For delightful full range, system AQ Tango 84 subwoofer is recommended.Tango 82 can fulfill surround duties in home theater and can be wall mounted using wall bracket BT1. 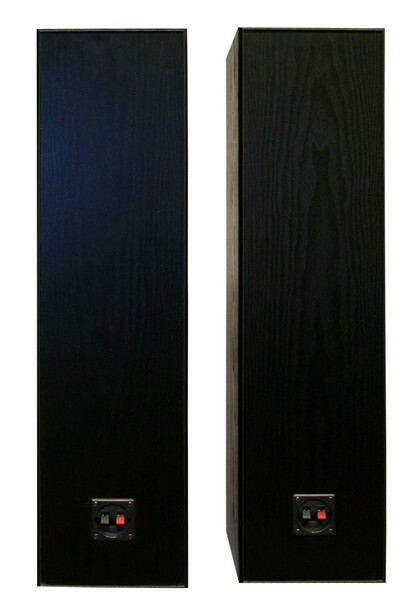 Finish textured black ash laminate.2-way small shelf loudspeakers, 8ohm, power 40/100W, 4" polypropylene bass driver, full sound by small volume, suitable for smaller space as stereo, surround home theatre. 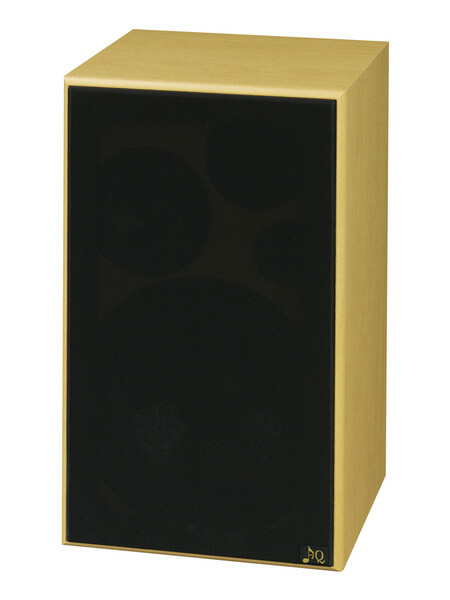 Dimensions (wxhxd): 140x250x190mm, weight 2,7 kg.Price for one speaker . Dimensioni : larghezza 200 mm - Altezza 325 mm - Profondita' 217 mm - Peso 5 kg - Volume interno 8.5 l - Impedenza 8 ohm - Potenza nominale 80w - Potenza musicale 120w - Sensibilita' 88/1w/1m - Risposta in frequenza 55hz-20khz a 8db - Crossower :6.6 db/oct - Finiture: nero ,legno naturale,quercia,,bianco. 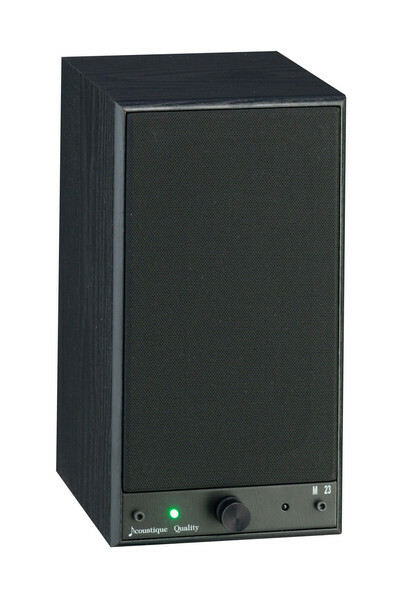 Compact two-way loudspeaker with universal usage and maximum sound. 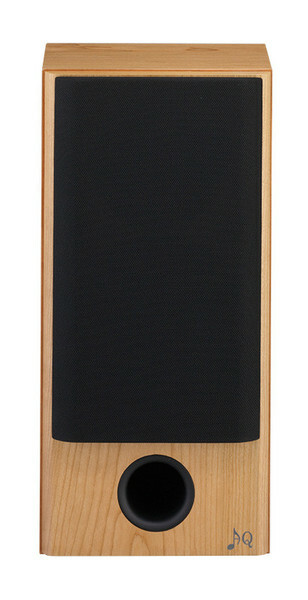 Loudspeaker is front-ported and can be installed close to the wall or can be wall mounted. Tango 83 can handle smaller lecture rooms, offices, public spaces, dorms and works well in a secondary bedroom system or kids room.Strong MDF panels are precisely machined and glued to form a rigid, non-resonant enclosure finished in attractive, natural wood texture laminate. Rigid baffle houses precise ¾” ferrofluid cooled tweeter and 6” mid-bass driver with advanced strong, lightweight aluminum cone and robust steel frame. 6/6 dB/oct crossover features hand wound air core coils with 1mm2 pure OFC copper. This eliminates oversaturation typical when higher power requirements are demanded. 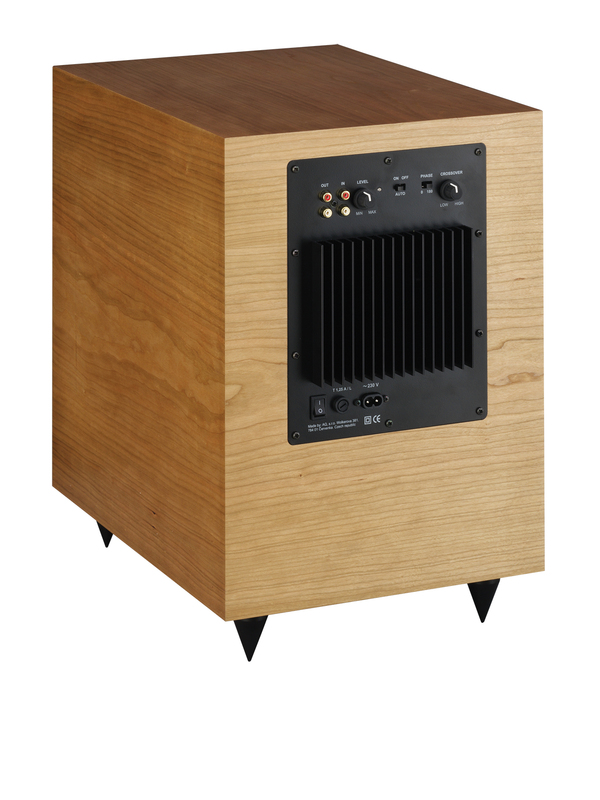 All internal connections are thermally soldered.Finish textured black ash, beech, white laminate.2-way shelf loudspeakers, 8ohm, power 60/120W, 16cm aluminum bass driver, outstanding price performance ratio, universal use, front for stereo, restaurants, schools, authorities, new aslo in white surface finish. 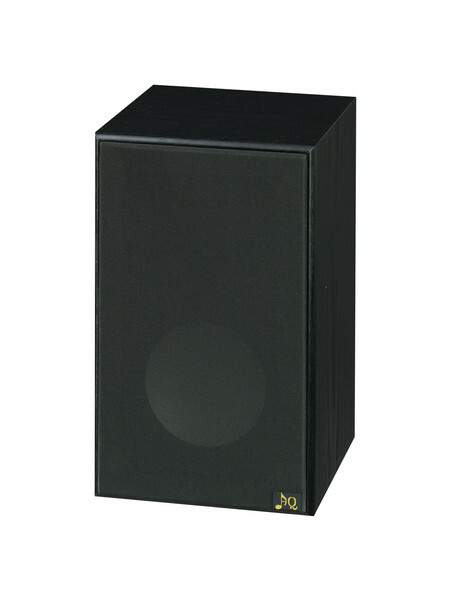 Dimensions (wxhxd): 200x325x217mm, weight 5 kg.Price for one speaker . Dimensioni : larghezza 254 mm - Altezza 420 mm - Profondita' 260 mm - Peso 8.2 kg - Volume interno 17.5 l - Impedenza 8 ohm - Potenza nominale 95 w - Potenza musicale 190w - Sensibilita' 88/1w/1m - Risposta in frequenza 40 hz-20khz a 8db - Crossower :6.6.6 db/oct - Finiture: nero ,legno naturale,quercia,,bianco. 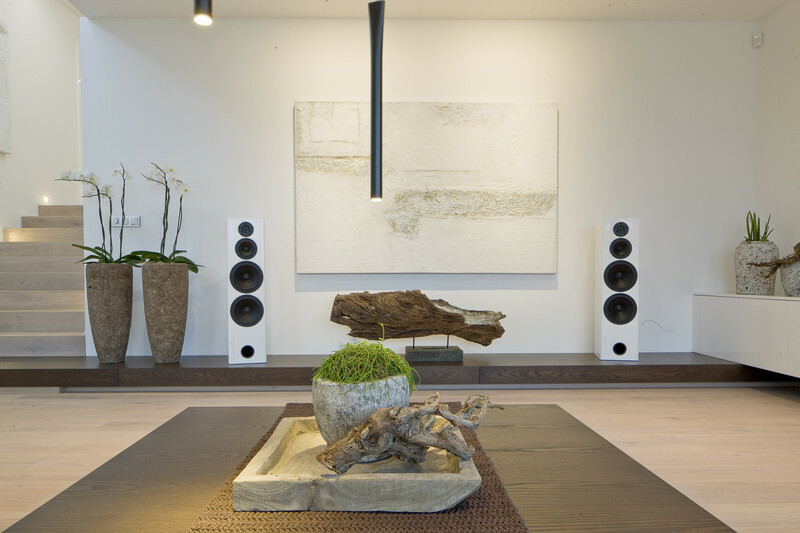 Unique three-way loudspeaker with incredible ability can be installed virtually in any space. Powerful and precise Tango 85 can handle smaller dorms, large living rooms, offices or commercial spaces. It can be installed in hotels, restaurants or conference rooms. 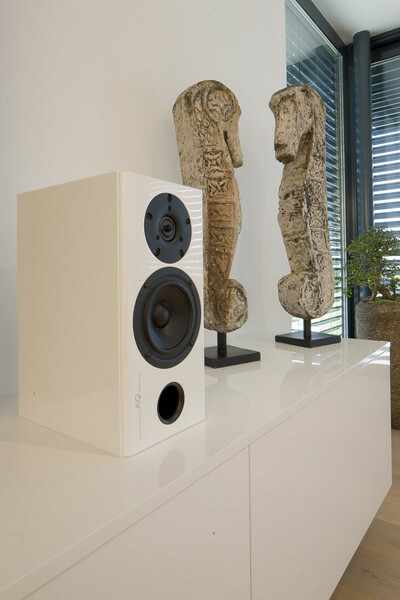 Front-ported enclosure can be placed at wall proximity, on a bookshelf or on a stand. 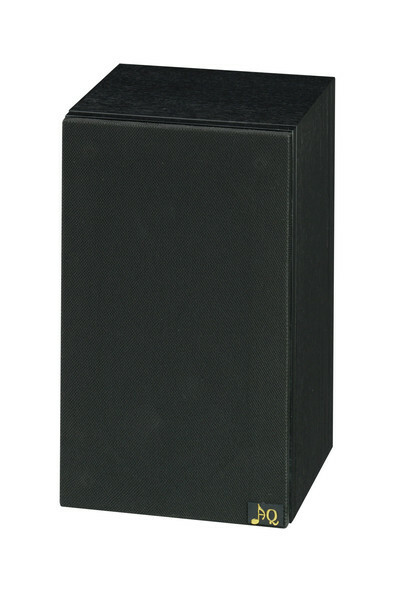 MDF enclosure houses robust and resilient 8” polypropylene bass driver with massive magnet and motor. 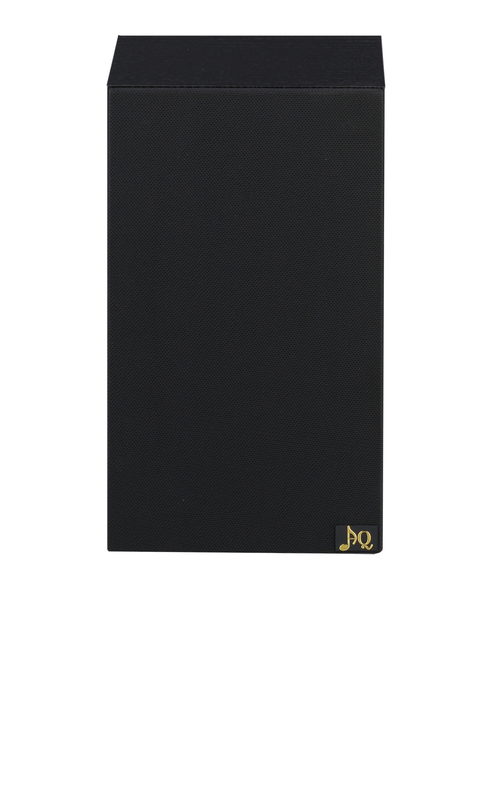 Midrange driver features treated paper cone that assures coherent and transparent vocals. 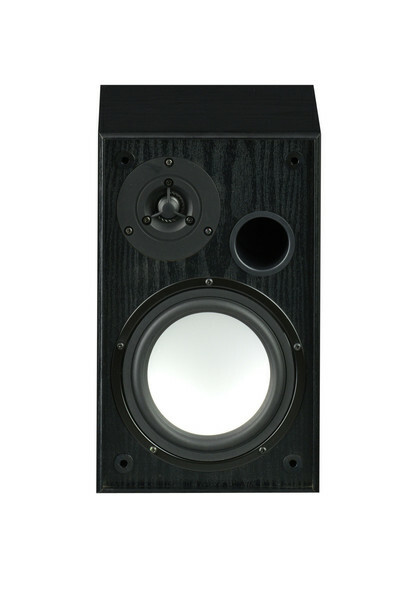 Precise ¾” ferrofluid cooled tweeter rounds out the trio of the drivers. Optimized crossover is point to point connected to the drivers with 1mm2 pure OFC copper, assuring longevity of theloudspeakers.Tango 85 will work delightfully with any kind of music and together with Tango 81, Tango 82 and a subwoofer; Tango 94 will create detailed scenic sound-fields and a thunderous backdrop to the latest action blockbuster. Finish textured black ash, beech, white laminate3-way shelf loudspeakers, 8ohm, powe 95/190W, 20cm polypropylene bass driver, compact size, high capacity, suitable for hard music, restaurants, bars, schools, spaces where is the power and small size needed, new also in white surface finish. 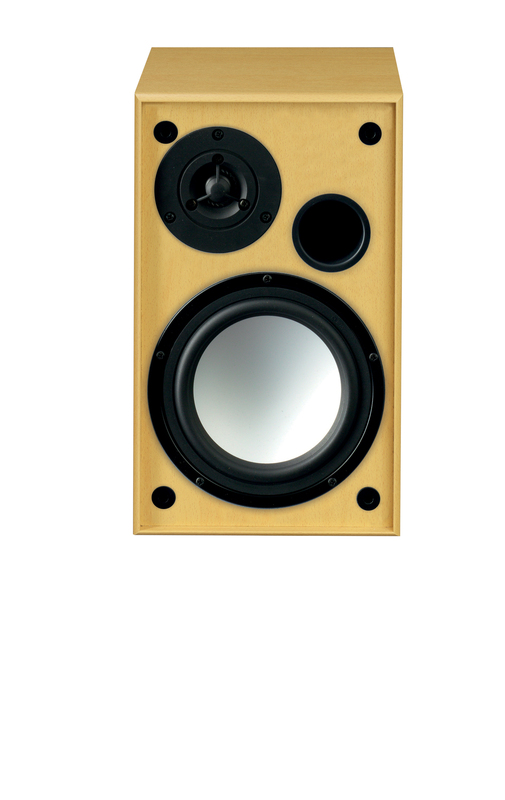 Dimensions (wxhxd): 254x420x260mm, weight 8,2 kg.Price for one speaker . Dimensioni : larghezza 194 mm - Altezza 780 mm - Profondita'256 mm - Peso 10.5 kg - Volume interno 25 l - Impedenza 8 ohm - Potenza nominale 80 w - Potenza musicale 160w - Sensibilita' 87/1w/1m - Risposta in frequenza 40 hz-20khz a 10db - Crossower :12.6db/oct - Finiture: nero . Slender tower design features dual 6” mid-bass drivers with advanced strong lightweight aluminum cone and robust steel frame. High frequencies are handled by precise ¾” polypropylene dome tweeter and, together with the mid-bass drivers, create tuneful combo that can handle any genre or movie score with aplomb. 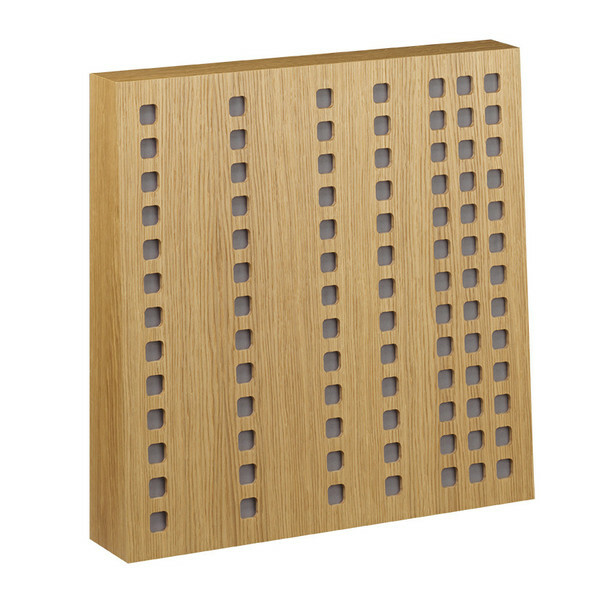 Strong 16mm MDF panels are precisely machined and glued to form a rigid, non-resonant enclosure. Pure OFC copper with 1mm2 diameter handles all internal wiring and all connections are thermally soldered. Precision crossover is installed on an independent panel. Tango 88 can really tango and will make listeners want to dance, contemplate or watch movies with equivalent assurance and consistent delivery. 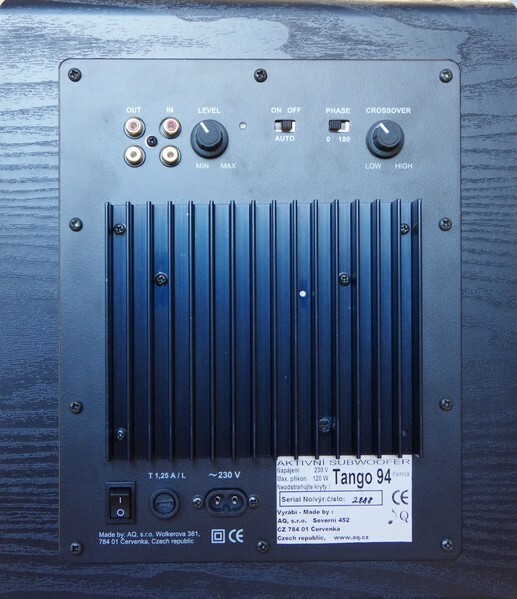 Tango 88 sings at home and works very well in commercial applications. 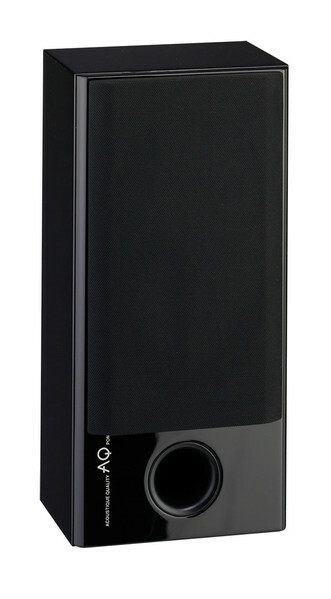 Finish textured black ash laminate.Delivery without spikes2-way floorstanding loudspeaker, 8ohm, power 85/180W, bass driver with aluminum membrane 16cm, solid bass, balanced characteristic, widespread use. 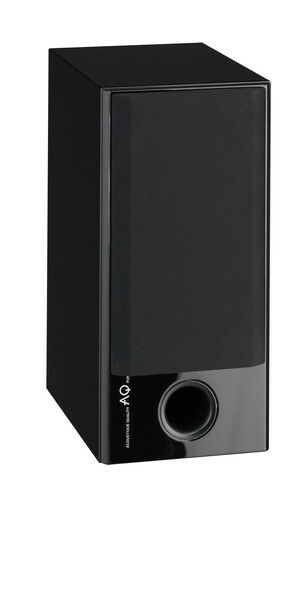 Dimensions (wxhxd): 194 x 780 x 256 mm, weight 10,5 kg.Price for one speaker . Dimensioni : larghezza 368 mm - Altezza 136 mm - Profondita' 97 mm - Peso 3.3 kg - Volume interno 1.6 l - Impedenza 8 ohm - Potenza nominale 60 w - Potenza musicale 120w - Sensibilita' 86/1w/1m - Risposta in frequenza 74 hz-20khz a 10db - Crossower :6.6db/oct - Finiture: nero . 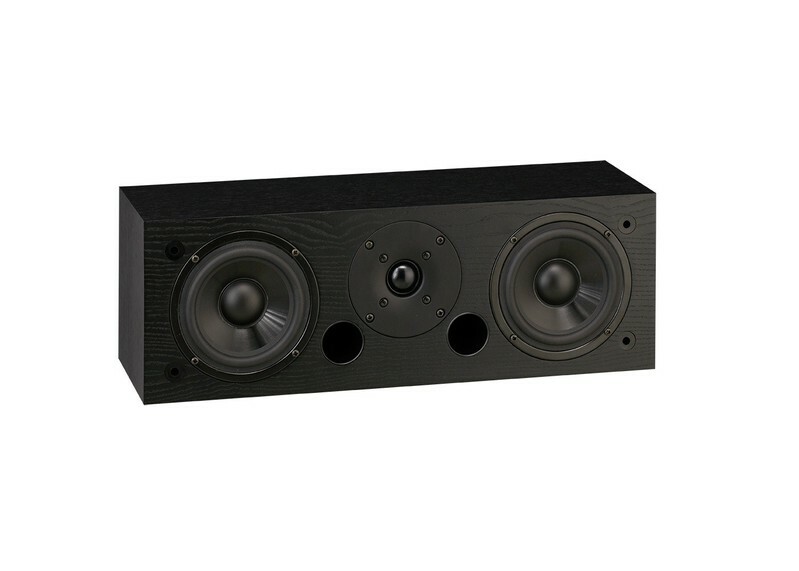 Compact, ported dedicated center channel for Home Theater. Two mid-bass drivers and a ¾” AQ TW11 dome tweeter are configured in D’Apollito geometry to an equation perfectly suited for high quality Home Theater. 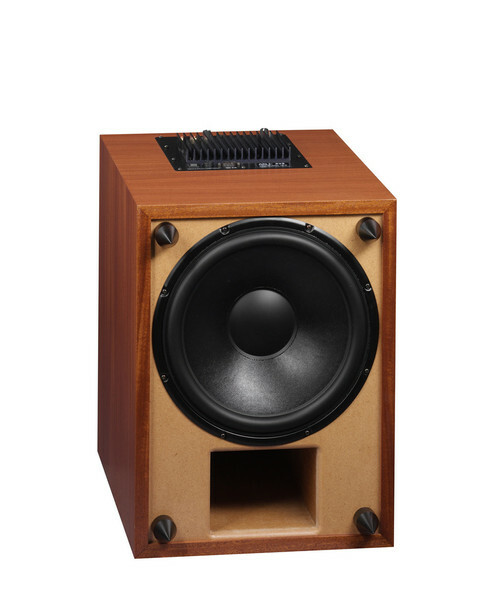 The mid-bass drivers have treated paper cone, low loss rubber surround and strong steel frame. Tango 81 excels in the reproduction of human voice, resulting in perfectly intelligible dialogues across all movie types. 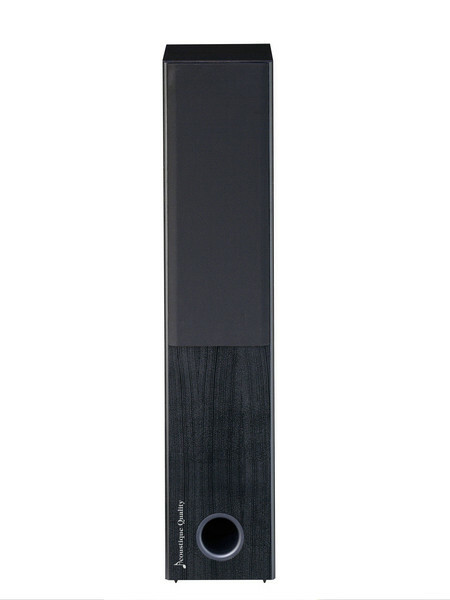 Tango 81compactness allows for near TV installations and can be also wall mounted. 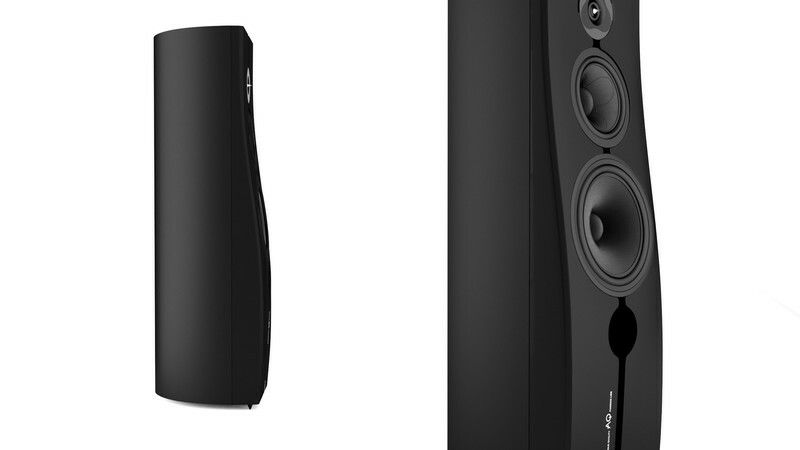 Tango 81 effortlessly outperforms the lackluster sound of today’s flat screen TVs. 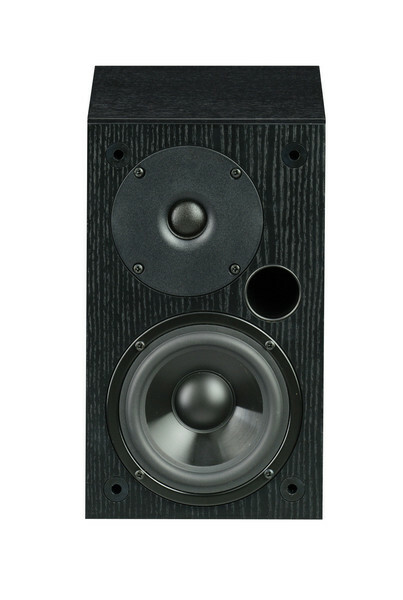 Finish textured black ash laminate 2-way center loudspeaker, 8 ohm, 60/120W, 4" bass driver, very balanced speach zone, high capacity compared to small dimensions. 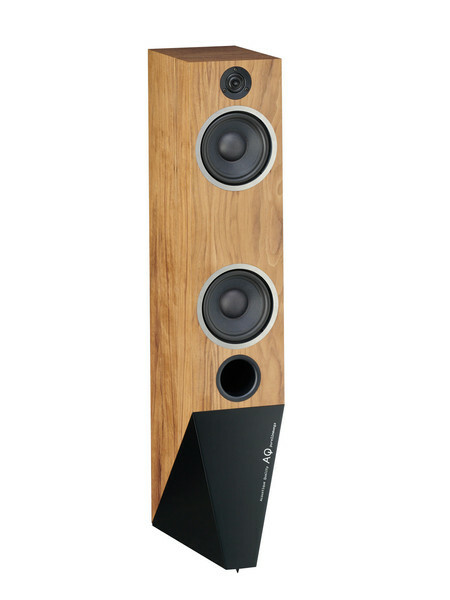 Dimensions (wxhxd): 368x136x97mm, weight 3,3 kg.Price for one speaker . Dimensioni : larghezza 190 mm - Altezza 1000 mm - Profondita' 300 mm - Peso 18 kg - Volume interno 30 l - Impedenza 8 ohm - Potenza nominale 100 w - Potenza musicale 200w - Sensibilita' 89/1w/1m - Risposta in frequenza 25 hz-40khz a 6db - Crossower :12.12db/oct - Finiture in legno naturale nei colori nero , noce ,ciliegio..
Sophisticated and contemporary ported two-way loudspeaker that praises streamlined design and respects acoustical principles. Stunning combination of natural woods and satin lacquer base. Baffle is smooth and clean without any unnecessary elements. 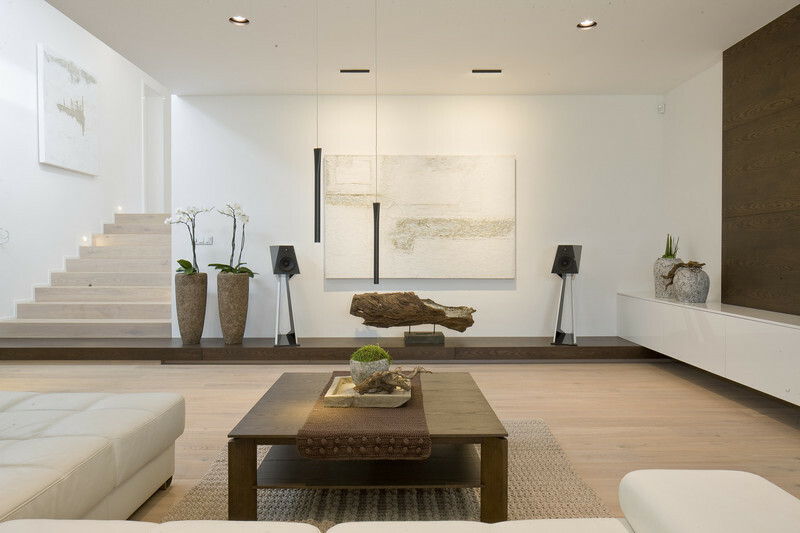 Elegant lines flow into each other and create cohesive design harmony. 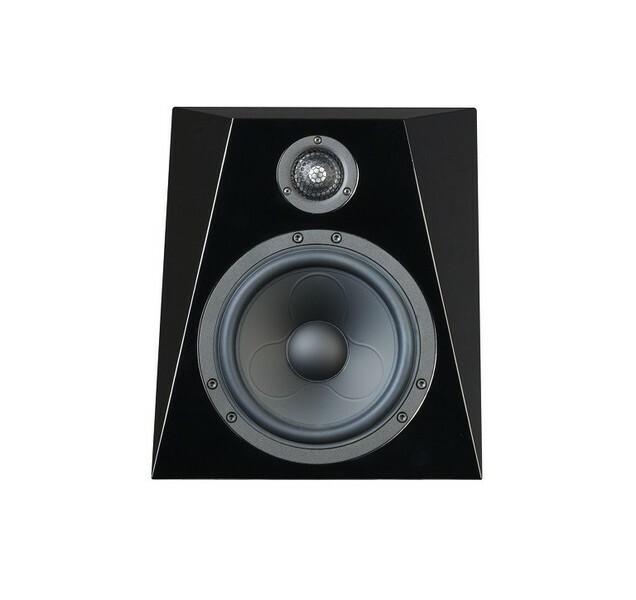 The drivers are integrated in layered sandwich baffle, eliminating uneven driver/baffle transition, minimizingdiffraction and having a positive effect on speaker directivity. Trapezoidal enclosure cross-section makes the loudspeaker very rigid and removes unwanted standing waves. Trapezoidal body is then organically connected to a rigid base that features a trio of adjustable spikes that can be placed on virtually any surface. Plastic cups are provided to protect flooring. This solution suppresses transmission of vibration between the loudspeakers and the environment. The bass is taut and dynamic and the midrange is superbly transparent, resulting in accurate and realistic vocal reproduction.1” ring radiator Vifa tweeter assures detailed and precise rendition of high frequencies. Precise second order crossover and internal wiring uses point to point technique and is directly soldered to the contacts on the transducers and terminals, eliminating the possibility of contact resistance of typical Faston connectors. Crossover parts are carefully selected, measured and matched. High quality terminals complete the package.Wega 73 is primarily designed for a listener who prefers natural, analog sound. The music rendition is precise, uniform and dynamic. 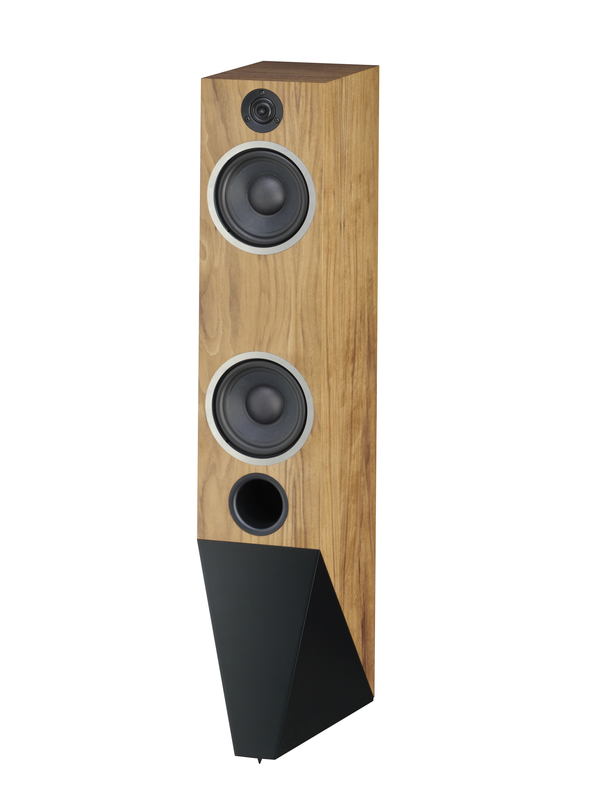 Great loudspeakers will play music well at any volume and Wega 73 certainly delivers here – it plays pianissimo and fortissimo with equal aplomb.Finish natural wood veneer – black ash, walnut Second 2-way loudspeakers, the design is also based on cooperation with studio Novague. Bass drivers have paper membrane bringing very natural reproduction. They are completed by tweeter with neodymium magnet. Surface finish: walnut, black ash. 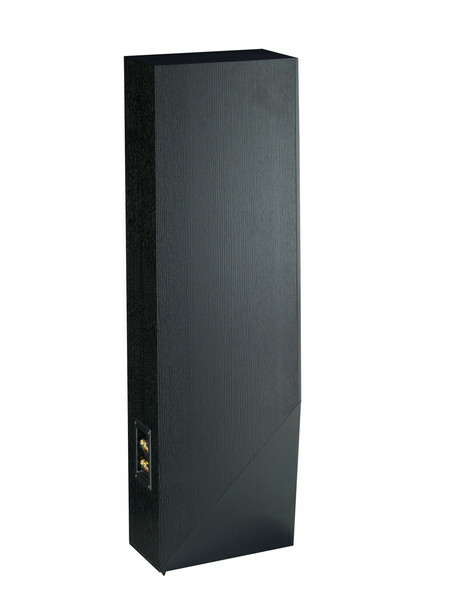 Dimensions (wxhxd): 190 x 1000 x 300 mm, weight 18 kg.Price for one speaker . Dimensioni : larghezza 190 mm - Altezza 1000 mm - Profondita' 300 mm - Peso 17.5 kg - Volume interno 30 l - Impedenza 8 ohm - Potenza nominale 100 w - Potenza musicale 200w - Sensibilita' 90/1w/1m - Risposta in frequenza 25hz-40khz a 8db - Crossower :12.12db/oct - Finiture in legno naturale nei colori nero , noce ,ciliegio. 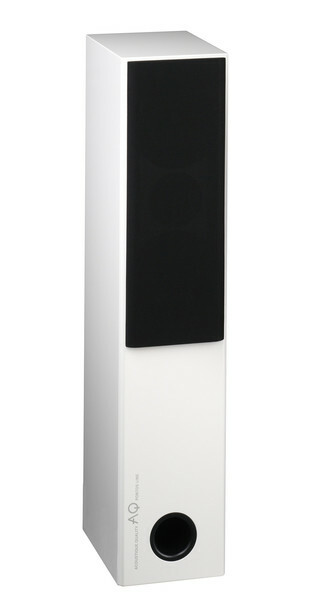 AQ Wega 78 is a column loudspeaker with superbly clean contemporary design. 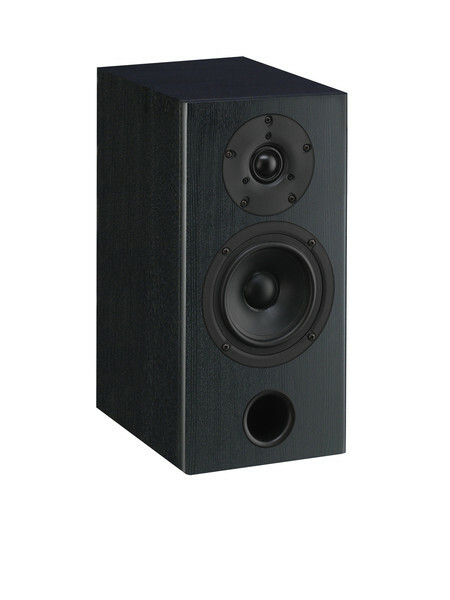 The drivers are integrated in layered sandwich baffle, eliminating uneven driver/baffle transition, minimizing diffraction and having a positive effect on speaker directivity. Trapezoidal enclosure cross-section makes the loudspeaker very rigid and removes unwanted standing waves. The trapezoidal body is then organically connected to a rigid base that features a trio of adjustable spikes. This solution suppresses transmission of vibration between the loudspeakers and the environment. The bass is supremely transparent yet powerful. 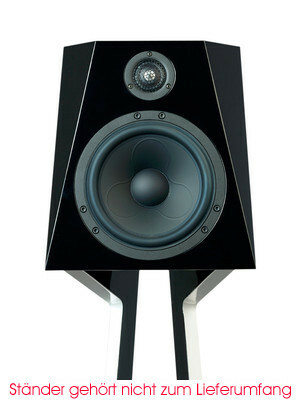 A pair of mid-woofers with 6” inverted dome metal cones works in tandem.The metal cones are attached to the frame with low loss rubber surround that has long life and linear characteristics. 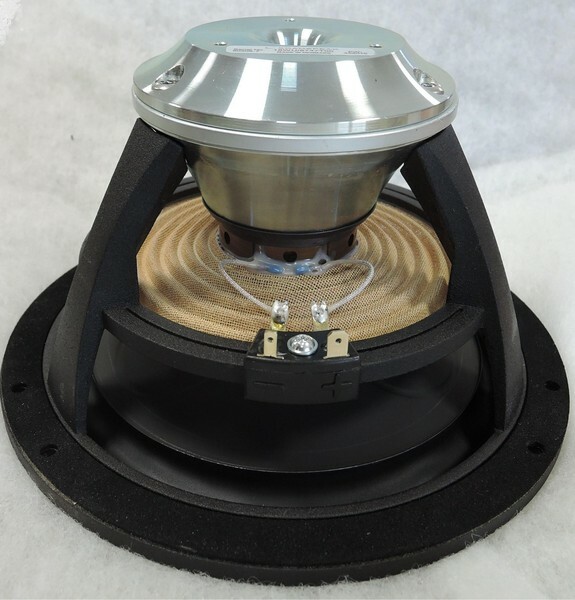 1” ring radiator Vifa tweeter assures detailed and accurate reproduction of high frequencies. This particular driver combination guarantees explosive yet insightful power delivery. Wega 78 is predestined for a listener who prefers precise and very dynamic music portrayal. 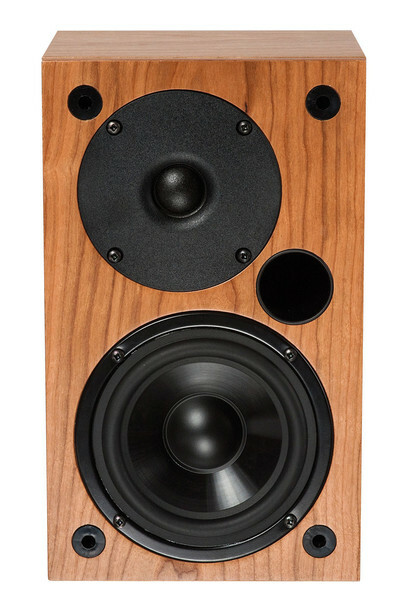 Finish natural wood veneer – black ash, walnut 2-way loudspeakers designed in cooperation with design studio Novague. Bass drivers with aluminum cone are completed by textile dome tweeter. Outstanding, voluminous and gentle reproduction of bass frequency. Very universal loudspeakers. Surface finish: walnut, black ash. 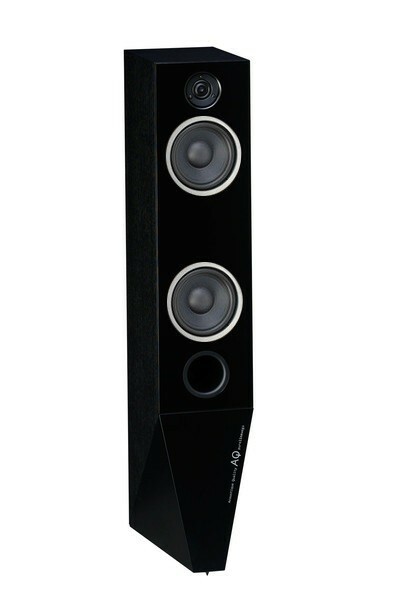 Dimensions (wxhxd): 190 x 1000 x 300 mm, weight 17,5 kg.Price for one speaker . Dimensioni : larghezza 254 mm - Altezza 890 mm - Profondita' 310 mm - Peso 18.75 kg - Volume interno 46 l - Impedenza 8 ohm - Potenza nominale 120 w - Potenza musicale 250w - Sensibilita' 91/1w/1m - Risposta in frequenza 35 hz-30khz a 6db - Crossower :12.12db/oct - Finiture in legno naturale nei colori nero , quercia ,ciliegio. Wega 55 MKIII loudspeakers feature a massive duo of 8” polypropylene woofers that have immense power reserves and astonishing dynamic drive. Polypropylene cones are rigid and light and the resulting bass is quick, precise and very dynamic. The same concept applies to the 5 ½” polypropylene midrange driver that has a separate acoustic chamber. 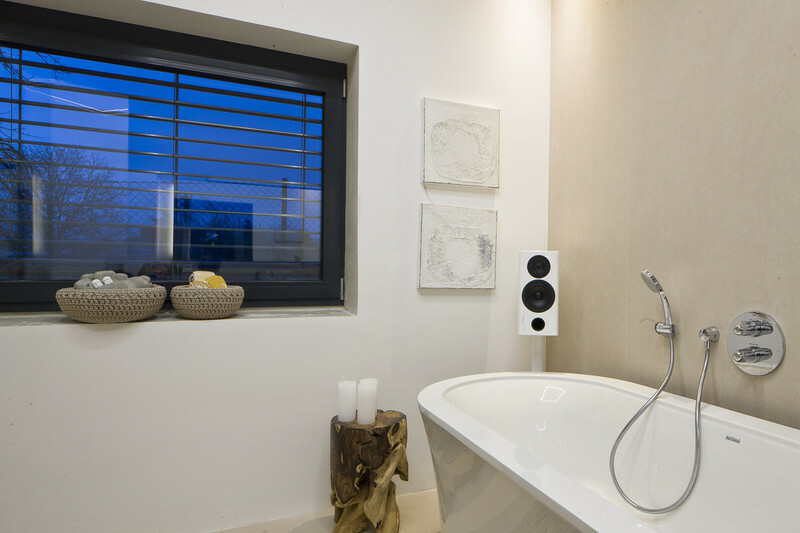 Precise 1” Vifa silk dome tweeter rounds off the quartet of the drivers, delivering tremendous performance. Proprietary sandwich baffle, flush mounted drivers, multiple flat and cross braces, point to point internal wiring and individually mounted meticulous crossover simply speaks volumes about the highest quality construction of Wega 55 MKIII. The underside of the enclosure is equipped with M6 metric thread that allows adjustable spike installation. Bi-wiring, Bi-amping heavy duty terminals handle speaker cable up to 4.5mm2 Finish natural wood veneer – black ash, walnutFloorstanding loudspeaker 3-way, bassreflex, pillar, 2xbass with polypropylene membrane. Voluminous and full bass, it is suitable for rock and electronic music, pop, etc.. Surface finish: cherry, black ash. 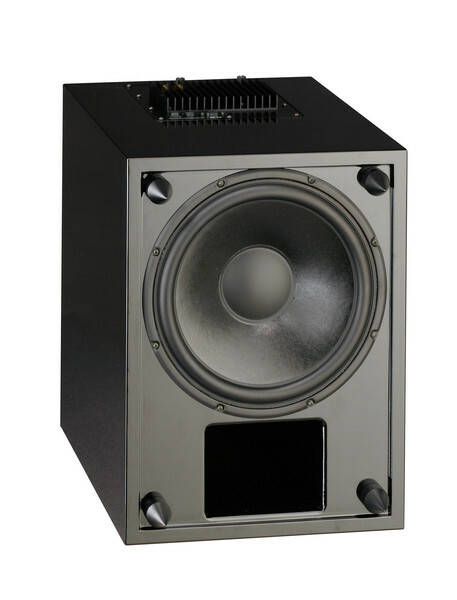 Dimensions (wxhxd): 254 x 890 x 310 mm, weight 18,75 kg.Price for one speaker . Dimensioni : larghezza 195 mm - Altezza 890 mm - Profondita' 310 mm - Peso 16 kg - Volume interno 3.3 l - Impedenza 8 ohm - Potenza nominale 100 w - Potenza musicale 200w - Sensibilita' 88/1w/1m - Risposta in frequenza 30 hz-30khz a 6db - Crossower :6.12db/oct - Finiture in legno naturale nei colori nero , quercia ,ciliegio. 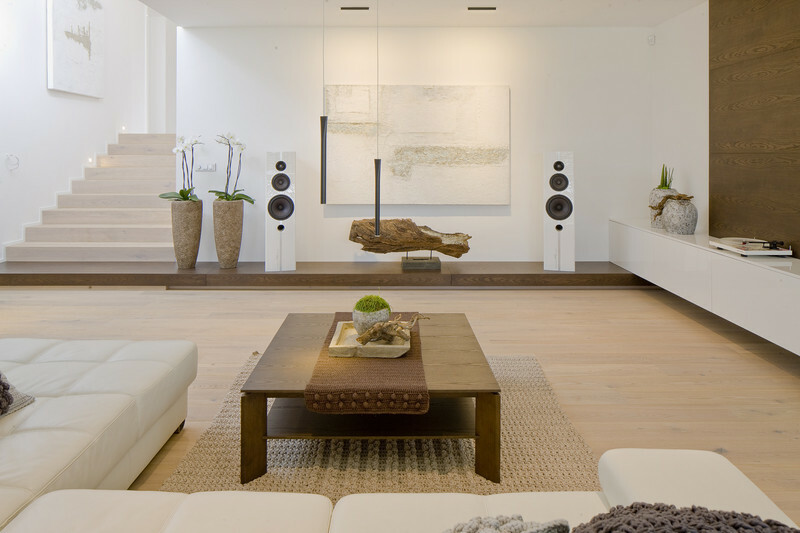 Slender floor-stander with powerful 6 ½” mid-woofer duo and precise 1” Vifa tweeter generate striking musical delivery. Construction of the mid-bass driver deserves special notation – unique non-pressed paper cone is powered by massive magnet motor and is hinged on a low loss rubber surround. Cone is very light and rigid, thereby resisting internal standing waves. The mid-woofers and the tweeter work very well in tandem, allowing flawless phase alignment.Wega 53 MKIII is designed to work exceedingly well in spaces around 30m2 and is also a great building block to a quality Home Theater. For this application Wega 51 MKIII, Wega 52 MKIII and a subwoofer Wega 54 MKIII is highly recommended. 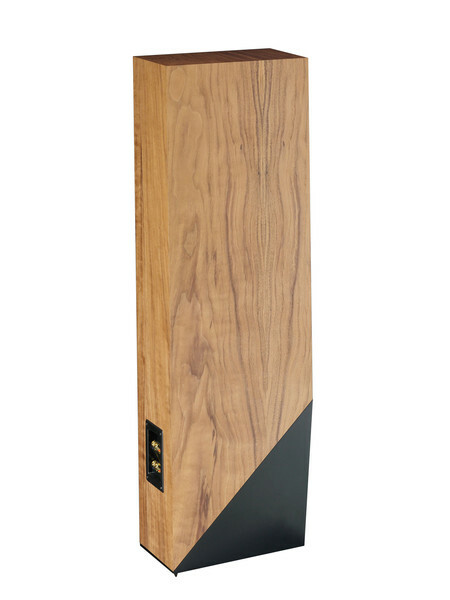 Vocal reproduction is a cornerstone of every great loudspeaker and Wega 53 MKIII truly stands out as an audiophile loudspeaker that will particularly please listeners of acoustic music and vocals.Finish natural wood veneer – black ash, walnut 2-way loudspeakers use two bass drivers and paper membrane to highlight low frequencies. In this category very balanced frequency characteristic, suitable for acoustic music, classic, jazz, but it will manage also other genre. Surface finish: cherry, black ash. 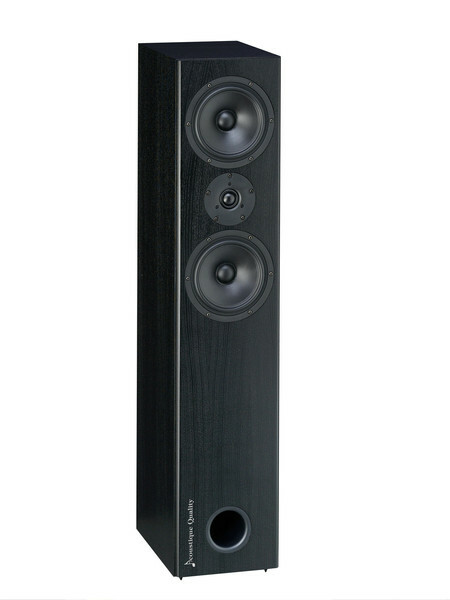 Dimensions (wxhxd): 195 x 890 x 310 mm, weight 16 kg.Price for one speaker . Dimensioni : larghezza 165 mm - Altezza 275 mm - Profondita' 160 mm - Peso 3.5 kg - Volume interno 3.5 l - Impedenza 8 ohm - Potenza nominale 70 w - Potenza musicale 120w - Sensibilita' 87/1w/1m - Risposta in frequenza 73 hz-30khz a 8db - Crossower :6.6 db/oct - Finiture in legno naturale nei colori nero , quercia ,ciliegio. 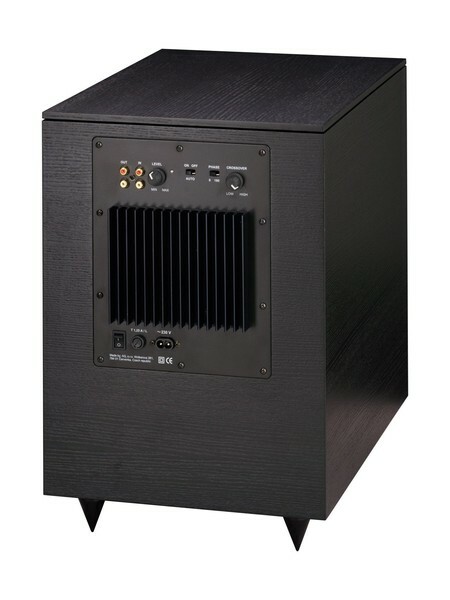 Compact Wega 52 MKIII is designed for smaller spaces and it can function very well as a dedicated Home Theater surround sound loudspeaker.Combination of MDF panels, DTD and sandwich construction baffle creates an enclosure that is rigid and resonance free. The front port placement allows for near, on wall installation. High quality terminals allow speaker cable up to 4mm2 in diameter. 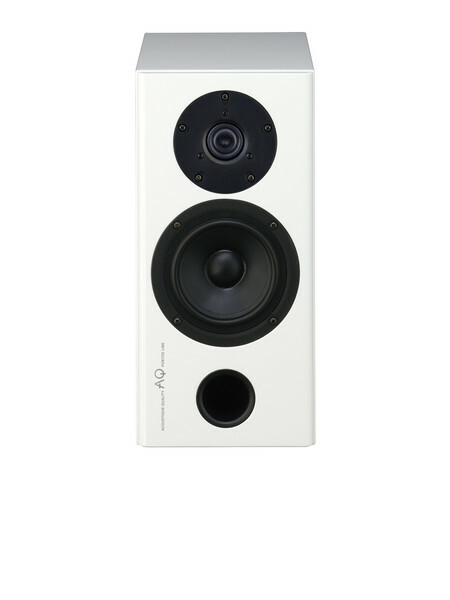 Very robust 19mm back panel permits installation of wall mount bracket – dedicated AQ SAT 5 or BT1 is available for such duties.Powerful polypropylene cone 5 ¼” mid-bass and precise 1” silk dome Vifa tweeter work in tandem and are capable of handling the most demanding musical and cinema passages. Designed for a wide spectrum of listeners, Wega 52 MKIII is at home with acoustic and pop music alike. In larger spaces, Wega 52 MKIII can be paired with a subwoofer – AQ Wega 54 MKIII for thunderous full range system.Finish natural wood veneer – black ash, walnut Shelf 2-way loudspeakers. Surprisingly solid sound compared to small volume. Bass driver 5" with polypropylene membrane ensures very good dynamics.Very wide use. Surface finisch: cherry, black ash. 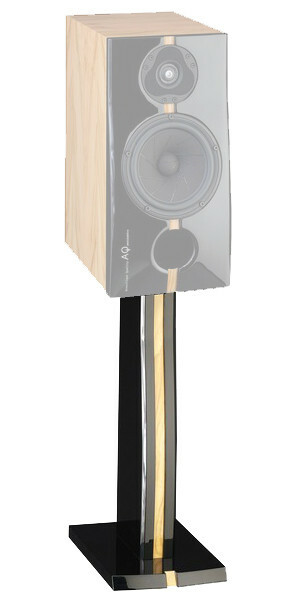 Dimensions (wxhxd): 165 x 275 x 160 mm, weight 3,5 kg.Price for one speaker . Dimensioni : larghezza 470 mm - Altezza 160 mm - Profondita' 160 mm - Peso 5.5 kg - Volume interno 5.6 l - Impedenza 8 ohm - Potenza nominale 80 w - Potenza musicale 120w - Sensibilita' 90/1w/1m - Risposta in frequenza 70 hz-30khz a 6db - Crossower :6.6 db/oct - Finiture in legno naturale nei colori nero , quercia ,ciliegio. Compact, dedicated center channel for Home Theater ideally installed next to the screen or in the A/V furnishings below screen. High power 5 ½” light and rigid polypropylene mid-bass drivers and 1” Vifa silk dome tweeter are configured in D’Apollito geometry creating perfectly transparent, uniform and legible vocal presentation required in high quality Home Theater. Enclosure is constructed using high density MDF and DTD and is finished in natural cherry or black ash veneer with beautiful natural grain. Proprietary sandwich construction baffle handles flush mounted drivers and two ports, allowing close wall proximity.Pure OFC copper with 1mm2 diameter handles all internal wiring and all connections are thermally soldered. Large loudspeaker setting with 70 Hz bottom octave limit is recommended for Home Theater duties. Listeners will be rewarded with precise and accurate voice presentation. 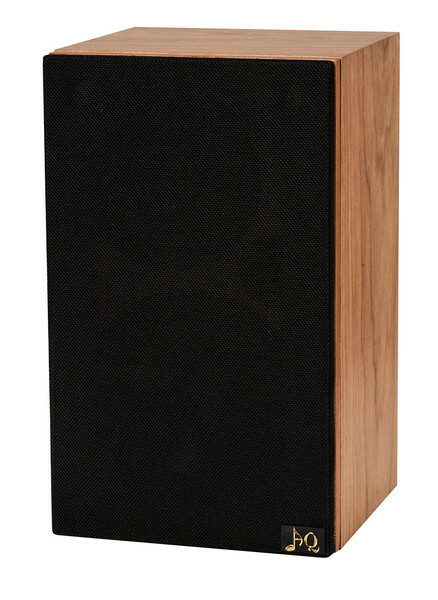 Finish natural wood veneer – black ash, walnut Center loudspeaker uses two 5" bass drivers with polypropylene membrane bringing ideal reproduction of dialogue channel also during higher load and dynamic peak. Surface finish: cherry, black ash. 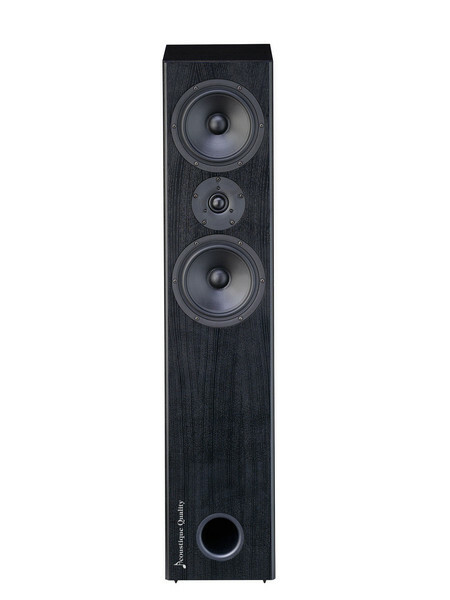 Dimensions (wxhxd): 470 x 160 x 160 mm, 5,5 kg.Price for one speaker . Dimensioni : larghezza 180 mm - Altezza 380 mm - Profondita' 290 mm - Peso 7.25 kg - Volume interno 10 l - Impedenza 8 ohm - Potenza nominale 60 w - Potenza musicale 120w - Sensibilita' 87/1w/1m - Risposta in frequenza 45 hz-30khz a 6db - Crossower :12.12 db/oct - Finiture: nero ,legno naturale,quercia,mogano,ciliegio. 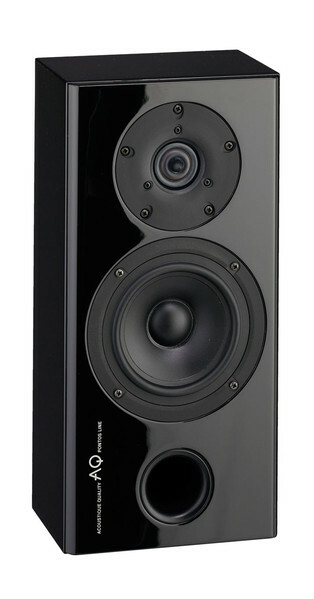 Labrador 29 MKIII is a very compact loudspeaker that allows easy indoor placement. It meets contemporary aesthetic criteria of architects and interior designers. Music reproduction is precise, accurate and authentic.Labrador 29 MKIII’s ported design allows for wide-ranging interior placement including bookshelf or wall mount.10 liter enclosure houses high quality 5" mid-woofer Scan-Speak with cast aluminum frame and fiberglass cone. Highly precise 1" textile dome is selected from Vifa. 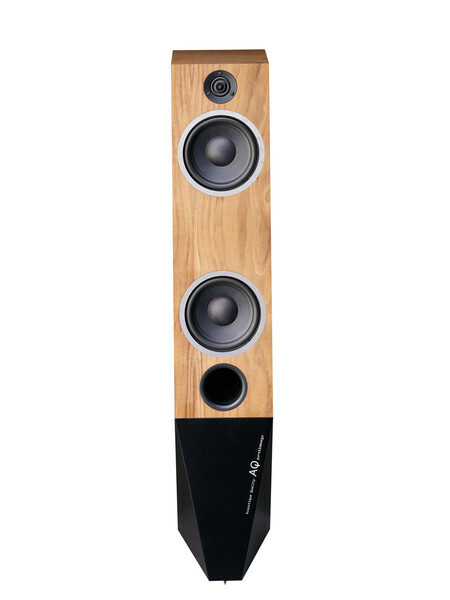 Sophisticated second order crossover is placed on the internal panel using point to point wiring.Finish natural wood veneer – black ash, beech, oak, ash, mahogany, walnut, cherryNew generation of one of the most popular shelf loudspeakers AQ. Bass driver Scan-Speak is in this price category unique in the world. Tweeter Vifa, highly precise sound as a whole. New more robust and solid enclosure construction bringing strong bass. Cover frames mounted by magnets hidden in the corpus and other aesthetic improvements offer exclusive product for acceptable price. 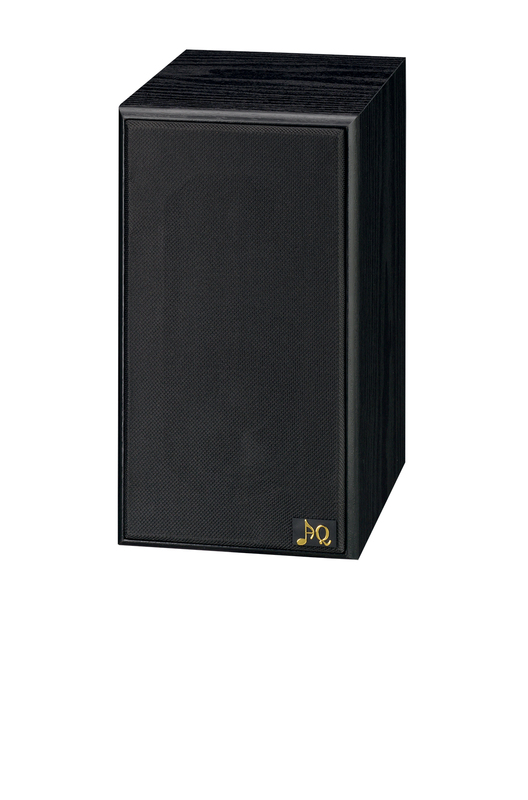 Dimensions (wxhxd): 180 x 380 x 290 mm, 7,25 kg.Price for one speaker . Dimensioni : larghezza 212 mm - Altezza 1.000mm -Profondita' 330 mm - Peso 18 kg - Volume interno 50 l -Impedenza 8 ohm - Potenza nominale 100 w - Potenza musicale 220w - Sensibilita' 89/1w/1m - Risposta in frequenza 30 hz-30khz a 6db - Crossower :12.18 db/oct - Finiture: nero ,legno naturale,quercia,mogano,ciliegio. Labrador 28 MKIII is designed for listeners who prefer highly accurate, precise and insightful sound without any coloration. Two-way loudspeakers with two mid-bass drivers in D’Appolito configuration give the sound an outstanding directional characteristic. Very rigid sandwich baffle houses flush mounted drivers, eliminates uneven driver/baffle transition, minimizes diffraction and resonances and, in combination with cross braces, achieves excellent strength. 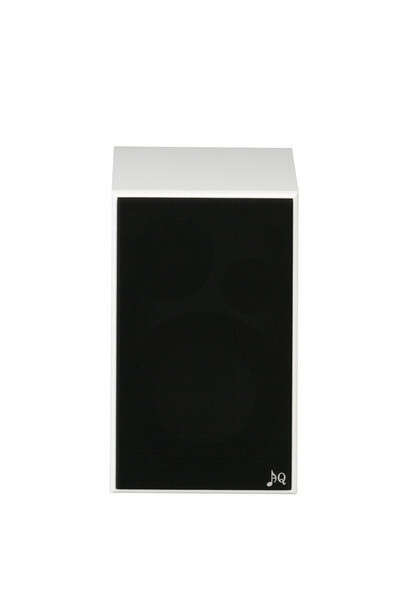 Although the resulting enclosure is very slender, it provides exceptional power handling and resonance free performance. Mid-bass drivers are from respectable Danish maker Scan-Speak and detailed tweeter is from Vifa. Hi quality bi-amping terminals, AUDIOQUEST point to point wiring, soldered connections and precise crossover round out the package. 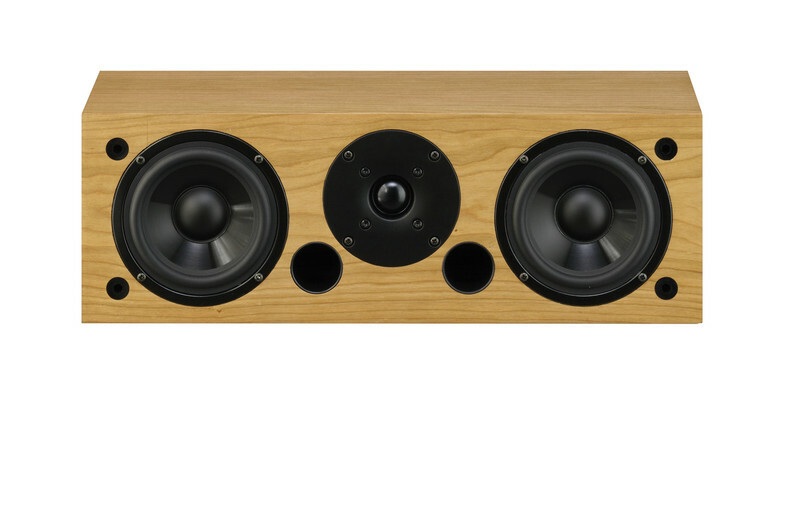 Labrador 28MKIII is a go to loudspeaker for listeners who prefer accuracy without coloration and for music industry professionals.Finish natural wood veneer – black ash, beech, oak, ash, mahogany, walnut, cherry Audiophile construction of 2-way box uses bass drivers Scan-Speak and tweeter Vifa. 3. generation of thi model is equipped by adjustable steel spikes, the back of box are newly reinforced and precisely aligned with the sides. It is ideal for acoustic music, classics, jazz, klasiku, jazz, but it will manage also easier genre like pop, etc.. Dimensions (wxhxd): 212 x 1000 x 330 mm, 18 kg.Price for one speaker . Dimensioni : larghezza 256 mm - Altezza 1.000mm -Profondita' 330 mm - Peso 26 kg - Volume interno 61 l -Impedenza 8 ohm - Potenza nominale 120 w - Potenza musicale 240w - Sensibilita' 89/1w/1m - Risposta in frequenza 25 hz-30khz a 6db - Crossower :12.18 db/oct - Finiture: nero ,legno naturale,quercia,mogano,ciliegio. 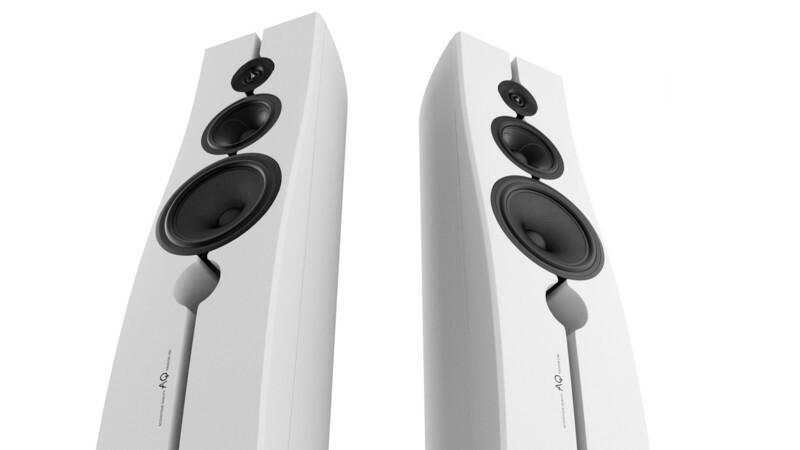 A three-way column speaker system with bass reflex inspired by the legendary L26. Enclosure is made of a combination of MDF and particleboard panels. Excellent rigidity was achieved by combining flat and cross braces together with proprietary sandwich baffle. 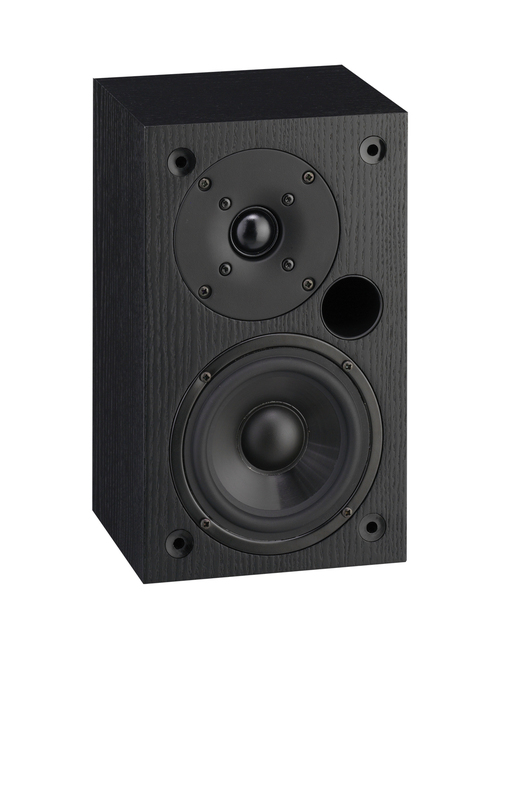 Rigidity and vibration resistance is one of the cornerstones of sound quality L26MKIII. 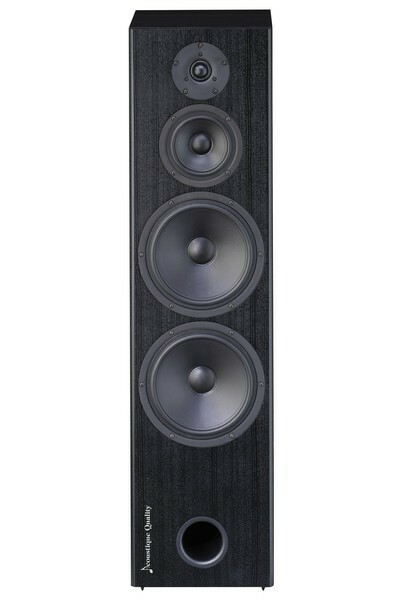 A pair of Scan-Speak woofers with large 8" carbon fiber cones symmetrically suspended on rubber surround with a powerful magnet attached to a cast aluminum frame is an essential element to achieving powerful and accurate bass. Port is located on the front panel to allow for near wall placement without audible distortion. Midrange driver uses the same elements as the bass: rigid aluminum basket, rubber surround, linear motor and a lightweight carbon fiber cone. It is also from a famous Danish Scan-Speak. 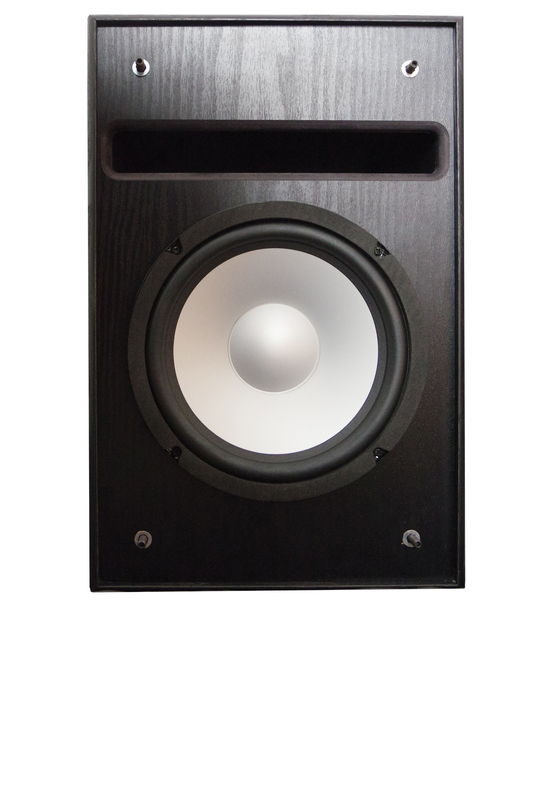 The midrange driver is mounted in a separate acoustic chamber, which adds to the internal rigidity. 1" fabric soft dome ferrofluid cooled tweeter is one of the best models from the Vifa. Crossover point to point wiring is used throughout and precision polyester capacitors are secured to a carrier panel with solder points. Internal wiring is AUDIOQUEST TYPE4 and all internal connections are soldered. 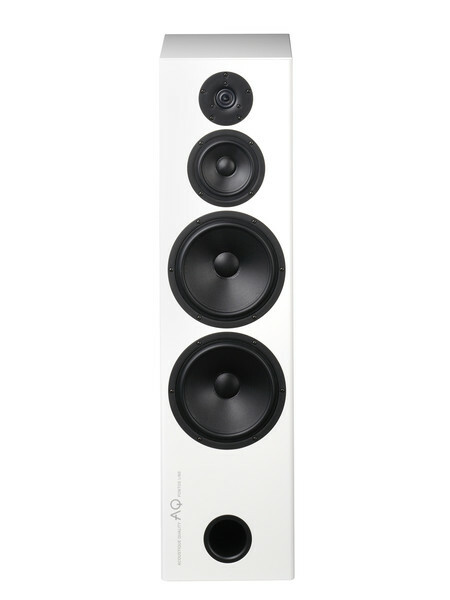 The speaker is equipped with a removable cover frame, which is fixed by the integrated magnets. Removable grille uses an invisible magnet system that makes for visually clean front baffle. The speaker comes fitted with adjustable spikes. 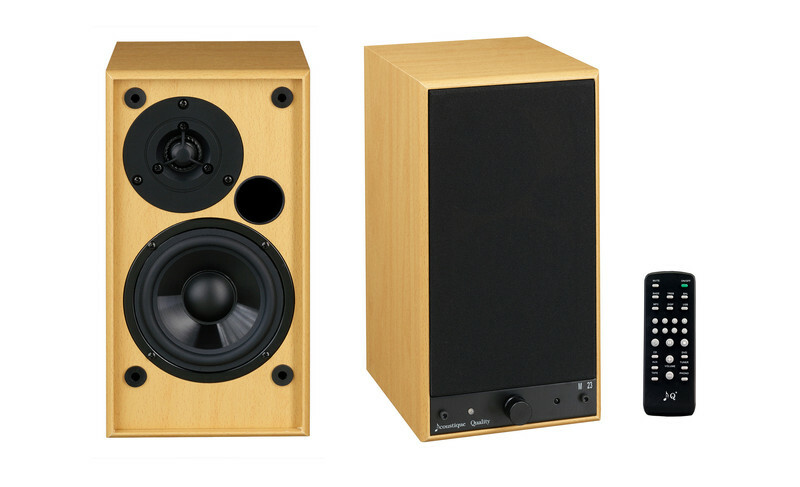 L26MKIII sound is a very versatile speaker that can brilliantly reproduce any musical genre. Dynamic rock passages are handled with aplomb and delicate chamber music is exquisitely nuanced. 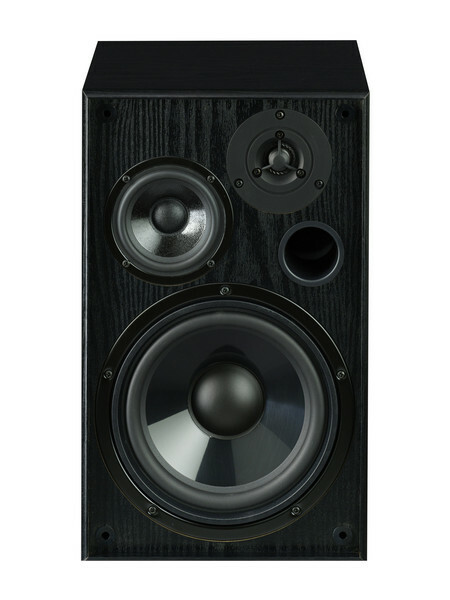 L 26MKIII is also suited as a front loudspeaker for Home Theater duties. Finish natural wood veneer – black ash, beech, oak, ash, mahogany, walnut, cherryLegendary and absolutely best seller of the Labrador line. 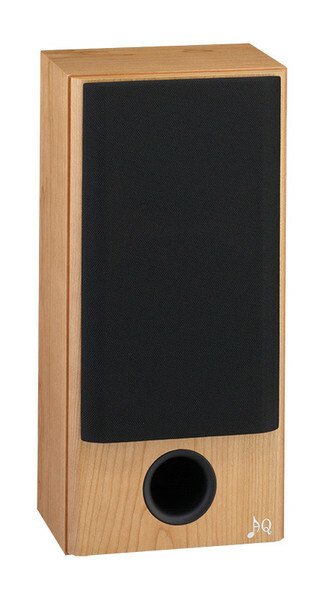 3-way loudspeaker uses Scan-Speak driver (bass and midrange) and tweeter Vifa. Powerful and solid bass, very clear central zone. Outstanding loudpspakers for rock music, pop, electric music , but it can also brillantly reproduce larger orchestra. 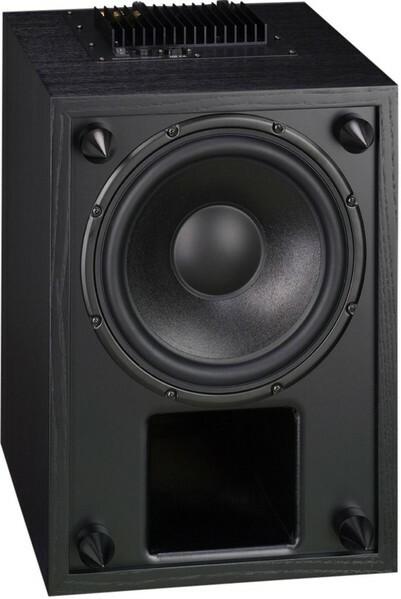 Dimensions (wxhxd): 256 x 1000 x 330m, weight 25 kg.Price for one speaker . Dimensioni : larghezza 650 mm - Altezza 175 mm -Profondita' 185 mm - Peso 10.5kg - Volume interno 10 l -Impedenza 8 ohm - Potenza nominale 80 w - Potenza musicale 180w - Sensibilita' 90/1w/1m - Risposta in frequenza 45 hz-30khz a 6db - Crossower :12.12 db/oct - Finiture: nero ,legno naturale,quercia,mogano,ciliegio. 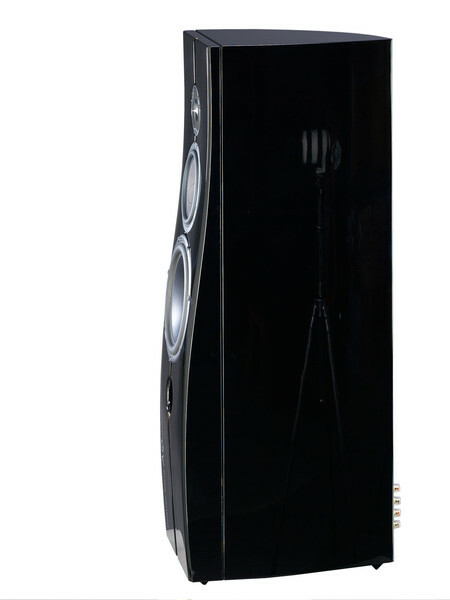 Center loudspeaker uses 2 bass Scan-Speak drivers and tweeter Vifa, it is ideal for every home theatre, perfect dialog speaker. A properly set up Home Theater cannot exist without a dedicated center channel. 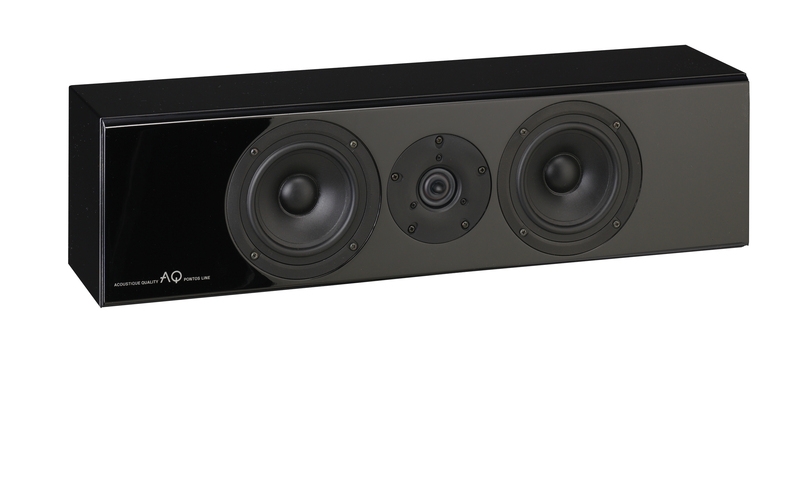 AQ brings in Labrador 176 MKIII high quality dedicated two-way loudspeakers with a D’Appolito baffle arrangement and ported design. This design delivers precise directional characteristics and allows for truly seamless home theater integration.The baffle is a proprietary sandwich construction with flush mounted drivers eliminating edge diffraction. Drivers are Scan-Speak, a pair of mid-woofers with carbon fiber cone joining efforts in the enclosure. 1” Vifa textile dome tweeter guarantees excellent directional characteristics of high frequencies. Precise second order crossover and internal wiring uses point to point technique and is directly soldered to the contacts on the transducers and terminals, eliminating the possibility of contact resistance. Due to its small depth, Labrador 176 MKIII can be placed on walls in close proximity to flat screens. Thanks to the flawless execution of these highly accurate cinema loudspeakers, actors sound as if they’re right in front the viewer/listener. Finish natural wood veneer – black ash, beech, oak, ash, mahogany, walnut, cherry Dimensions (wxhxd): 650 x 175 x 185 mm, weight 10,5 kg.Price for one speaker . Dimensioni : larghezza 212 mm - Altezza 1.010mm -Profondita' 145 mm - Peso 5 kg - Volume interno 50 l -Impedenza 8 ohm - Potenza nominale 100 w - Potenza musicale 220w - Sensibilita' 89/1w/1m - Risposta in frequenza 30 hz-43khz a 6db - Crossower :12.18 db/oct - Finiture: nero ,legno naturale,quercia,mogano,ciliegio. 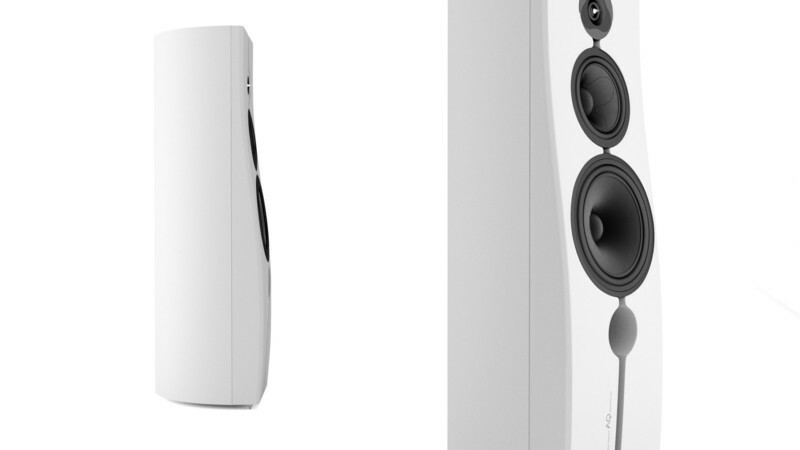 Compact loudspeakers designed for surround duties in Home Theater environment. Two-way ported design with the port located on the front baffle is treated inside out with aerodynamic design that eliminates typical port chuffing.Using dedicated AQ Sat 4 or BT1 wall brackets, Labrador 229 MKIII can be installed directly on the wall. 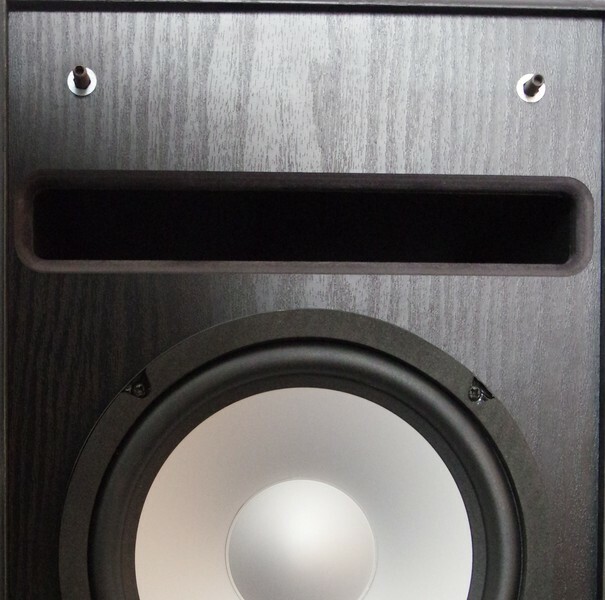 Front baffle uses proprietary sandwich construction with flush mounted drivers. 5” Scan-Speak mid-bass driver with cast aluminum frame, carbon fiber cone and precision Vifa textile dome tweeter works in tandem, covering 60 Hz to 30 kHz and creating stunningly detailed and realistic Home Theater sound.Finish natural wood veneer – black ash, beech, oak, ash, mahogany, walnut, cherryIdentical loudspeakers to Labrador 29MKIII, but with reduced depth (15cm incl. cover frame). 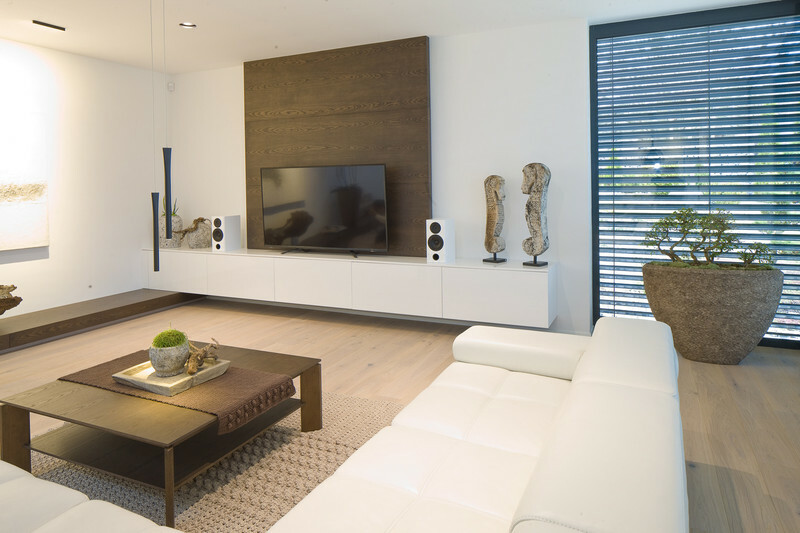 Front bassreflex location allows installation directly on a wall and for example to upgrade sound of TV distinctly. 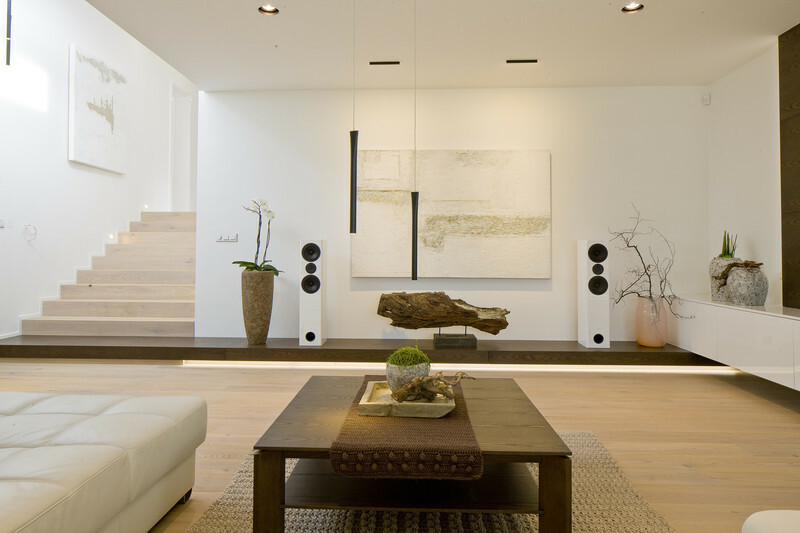 It is also possible to use the box as a surround for home theatre loudspeakers. 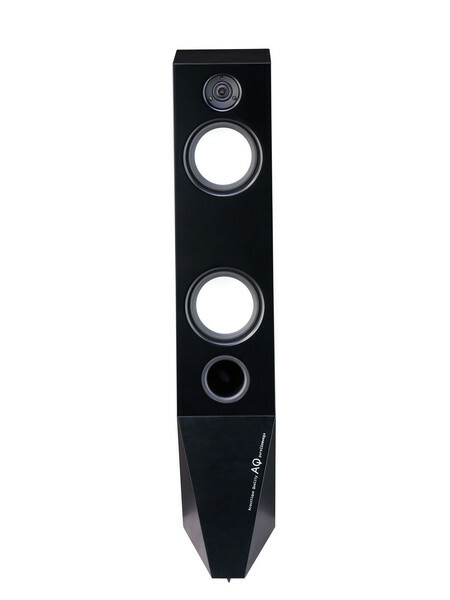 Dimensions (wxhxd): 180 x 380 x 145 mm, weight 5 kg.Price for one speaker . Diffusore a tre vie altoparlanti Scan-Speak Cablatura interna Audiquest Roket 33 i coni del medio e del basso sono in fibra di vetro Il tweeter altamente performante e dotato di anello di irradiamento Dimensioni : larghezza 256 mm -Altezza 1010 mm- Profondita' 320 mm -Peso 25 kg-,Volume interno 61l -Impedenza 8 ohm- potenza nominale 120 w -Potenza musicale 240w -Sensibilita' 89/1w/1m -Risposta in frequenza 25 hz-43khz a 6db- Crossower 12.6/12.12 db/oct -Finiture nero laccato, bianco laccato. Pontos 6 is based on the extremely popular 3 way Labrador series developing it much further in the iteration. Entire enclosure is made from MDF panels and baffle uses rigid sandwich construction. To achieve non-resonant loudspeaker, the entire enclosure is additionally internally braced. Bass reflex port is placed underneath the bass drivers. Removable grille uses invisible magnets allowing for perfectly clean look of the front baffle. High quality binding posts allow for bi-wiring and bi-amping. 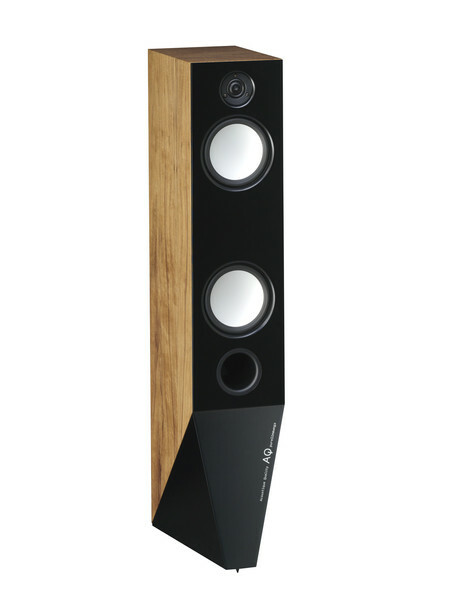 AUDIOQUEST Rocket 33 was selected for internal wiring that is also recommended for system connection with an amplifier.High quality Scan-Speak drivers are used in Pontos 6, and in this price category this is a unique feature that really sets these loudspeakers apart from the competition. Cast aluminum frames and extremely rigid fiberglass cones of the bass and the midrange drivers assure very dynamic sound. Ring radiator tweeter provide for wide soundstage and extended frequency response up to 43 kHz.As a standard, adjustable spikes are used in Pontos 6, eliminating transfer of the resonant frequencies and making for a deep and precise bass. Extremely labor intensive eight layer high gloss finish is not only visually striking but also positively reinforces the entire enclosure. 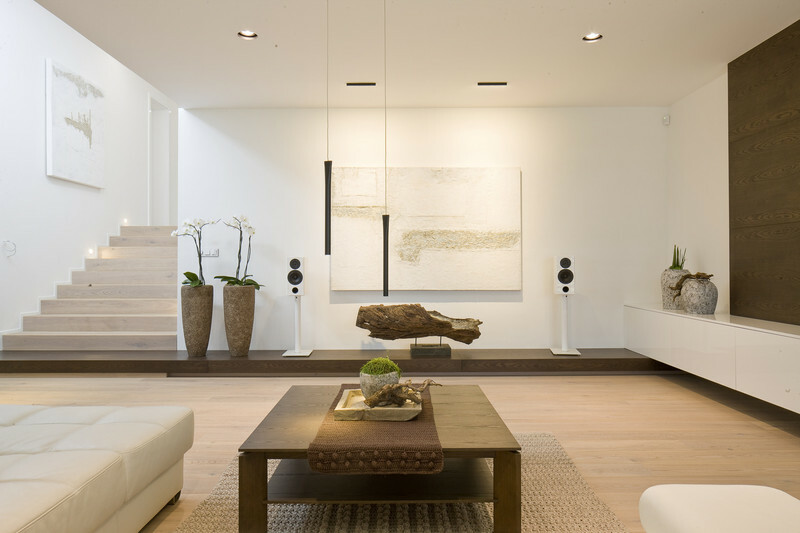 Pontos 6 loudspeakers are at home with rock and electronica but can also swing with big band orchestra or transport string quartet into the living room. Finish Black High Gloss, White High Gloss, Custom finishes available upon request.3-way loudspeakers completely uses Scan-Speak speakers with internal wiring Audioquest Rocket 33. 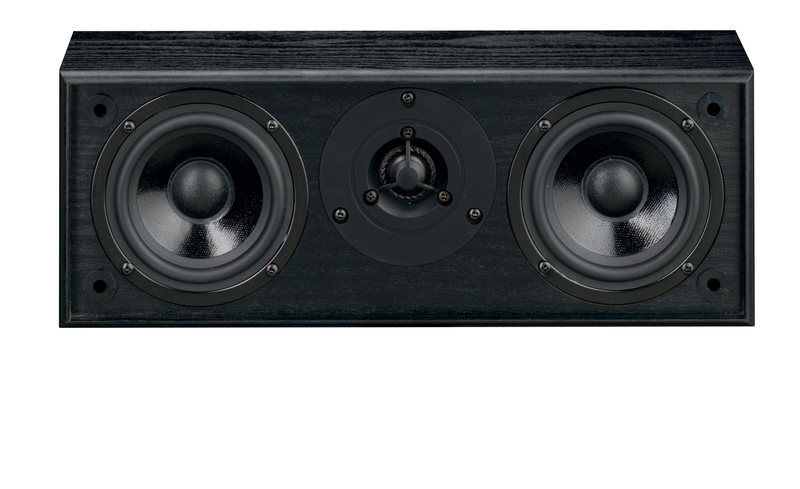 Bass and midrange drivers with fiberglass cones, ring radiator tweeter provide for wide soundstage and extendedfrequency response. 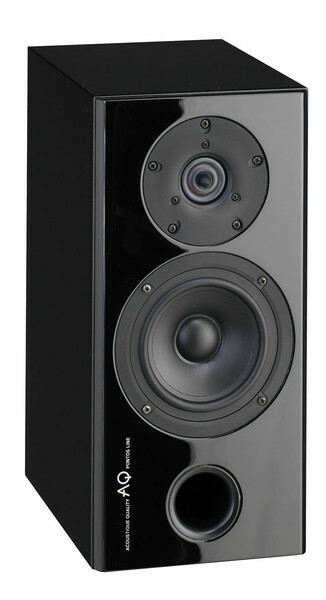 Dimension (wxhxd): 256 x 1010 x 320 mm, weight 25,5 kg Price for one speaker . 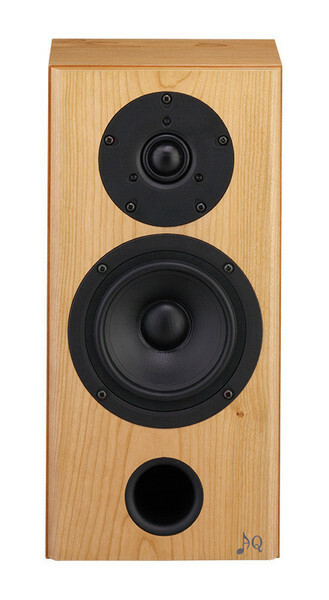 Very precise audiophile two-way loudspeaker with a D’Appolito baffle arrangement. Enclosure is made from MDF panels finished in superb polyester high gloss lacquer. To achieve a perfect paint finish, 8 layers of lacquer are applied to create a rigid and anti-resonant enclosure. The baffle is a sandwich construction with flush mounted drivers that eliminate edge diffraction. Drivers are Scan-Speak, a pair of mid-woofers with fiberglass membrane joining efforts in the enclosure. 1” ring radiator fabric tweeter guarantees excellent directional characteristics for high frequencies and also above 20 kHz.Thanks to the flawless execution of these high-end loudspeakers, vocals and acoustic instrument are extremely accurate. Stringed instruments sound lifelike with true tone and timbre. Vocals have wonderful dimensionality and detail that allows listeners to feel the performer in the room. Soundstage is deep and wide, allowing for each instrument of the orchestra to be presented in the actual space of the performance.Finish Black High Gloss, White High Gloss, Custom finishes available upon request Audiophile construction of 2-way box uses Scan-Speak drivers. 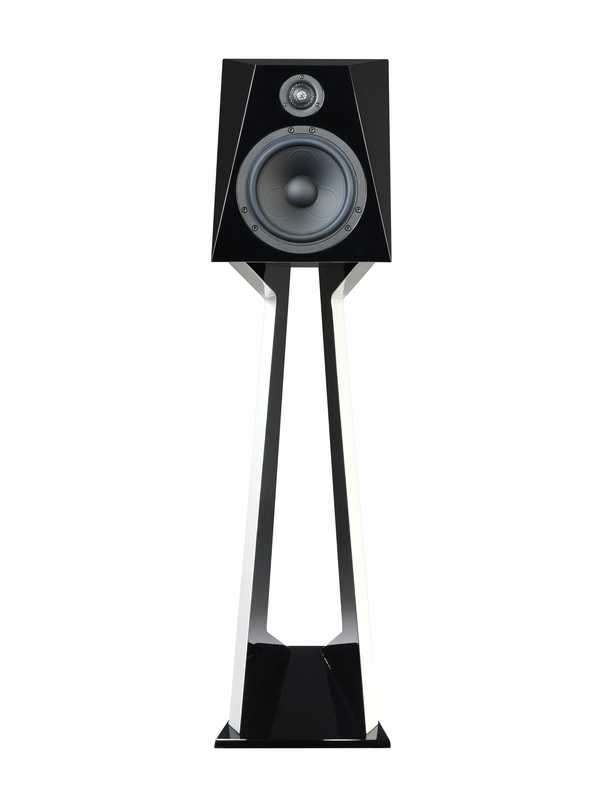 The loudspeakers are equiped by adjustable steel spikes, internal wiring is done with Audioquest cables Rocket 33. 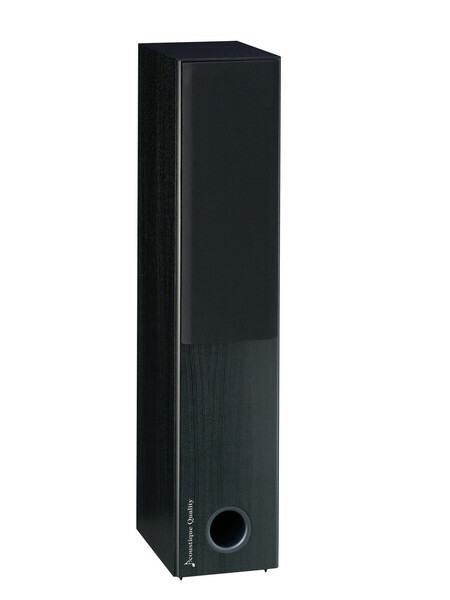 It is ideal for acoustic music, classics, jazz, klasiku, jazz, but it will manage also easier genre like pop, etc.. Dimensions (wxhxd): 212 x 1010 x 320 mm, weight 18,5 kg Price for one speaker . Diffusore a due vie altoparlanti Scan-Speak Cablatura interna Audiquest Roket 33 Dimensioni : larghezza 180 mm - Altezza 382mm - Profondita' 282 mm - Peso 8 kg - Volume interno 10 l - Impedenza 8 ohm - Potenza nominale 60 w - Potenza musicale 120w - Sensibilita' 87/1w/1m - Risposta in frequenza 45 hz-43khz a 6db - Crossower :12.12 db/oct - Finiture : nero laccato, bianco laccato. Although very compact, Pontos 9 offers immaculate and precise sound in spaces up to 30 square meters.Enclosure is made from MDF panels and the baffle uses proprietary sandwich construction. Because of its compactness, the enclosure is extremely rigid. Front port allows for near wall or bookshelf placement. Removable grille uses invisible magnet system that makes for visually clean front baffle. High quality binding posts allow for bi-wiring and bi-amping. 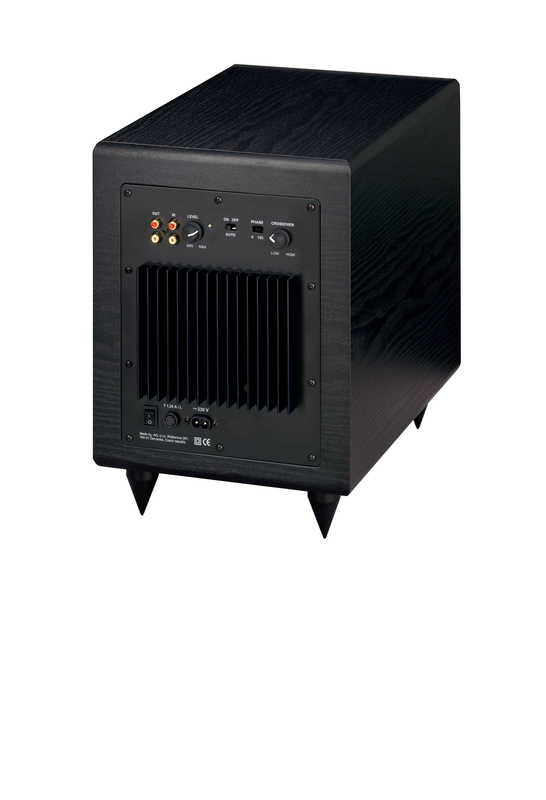 AUDIOQUEST Rocket 33 was selected for internal wiring that is also recommended for system connection with an amplifier.High quality Scan-Speak drivers are used in Pontos 9. Cast aluminum frames and extremely rigid fiberglass cones of the mid-bass driver assure very dynamic sound. 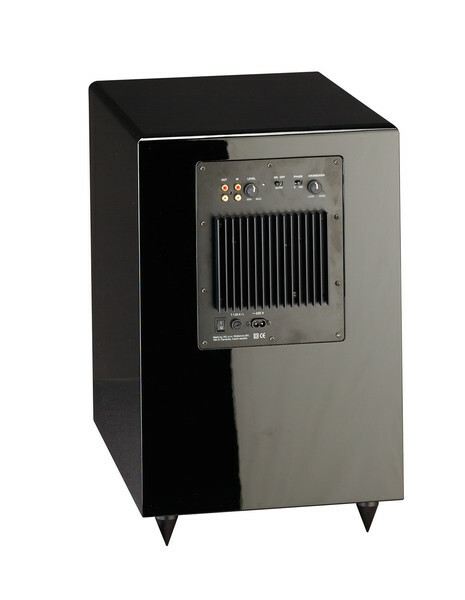 Ring radiator tweeter provides for wide soundstage and extended frequency response. Eight-layer high gloss finish is visually striking and also acoustically reinforces front baffle. High quality stand is recommended to assure most precise sound reproduction. BT77 wall bracket is available for custom installations. 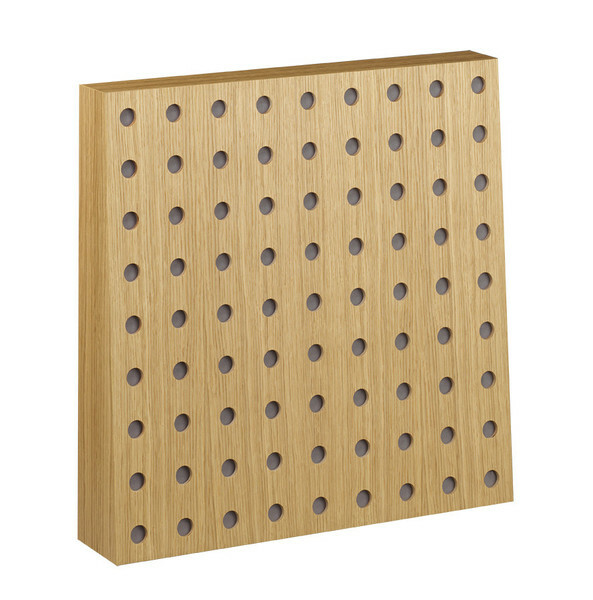 Adjustable spikes or acoustic foam is recommended for bookshelf installations. 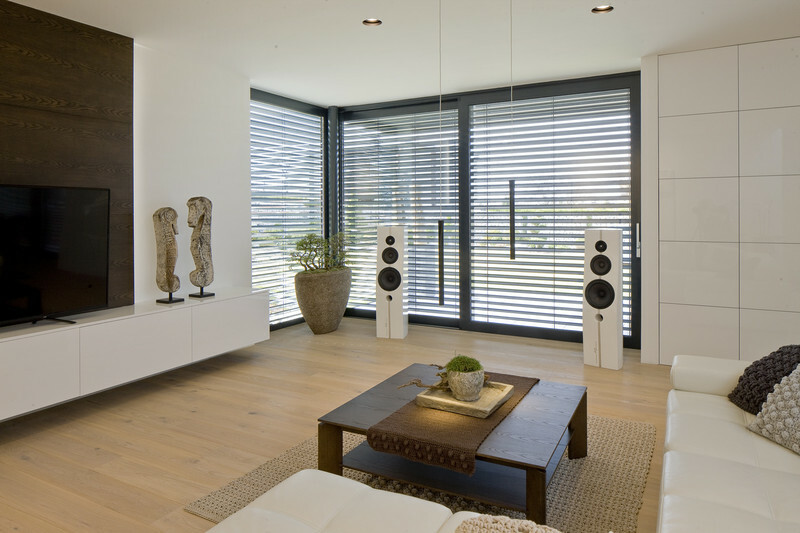 Pontos 9 is designed for small to mid size rooms although it can be successfully used in larger rooms with subwoofer reinforcement. 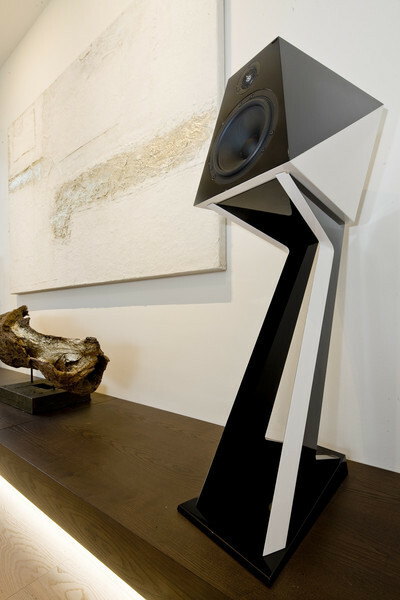 For such installation Pontos 4 is a perfect companion. 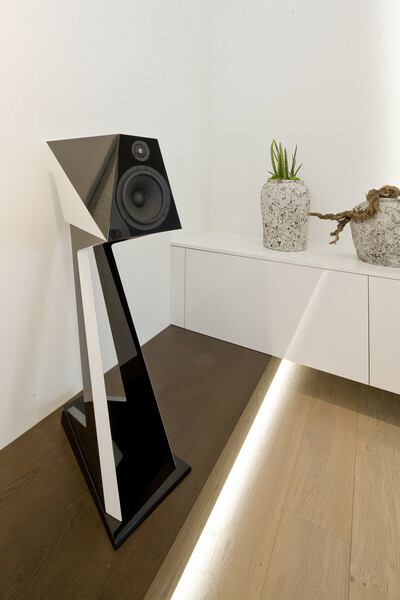 Finish Black High Gloss, White High Gloss, Custom finishes available upon reques.Smaller 2-way shelf loudspeakers uses Scan-Speak drivers, bassreflex on the front side, suitable for listening in a nearby field and in smallerspace up to cca 30m2. 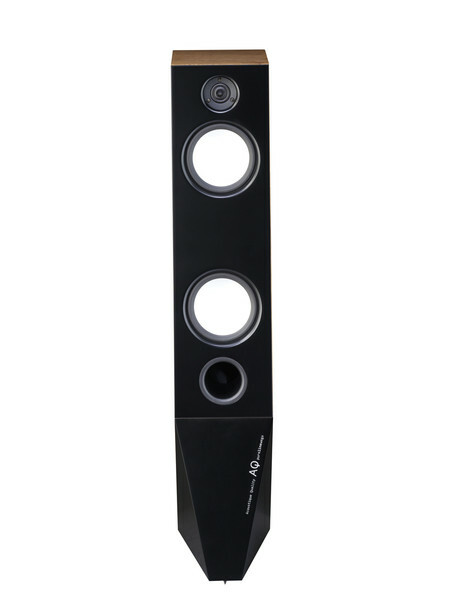 Dimensions (wxhxd): 180 x 382 x 282 mm, weight 8 kg Price for one speaker . Diffusore a due vie altoparlanti Scan-Speak Cablatura interna Audiquest Roket 33 Dimensioni : larghezza 180 mm - Altezza 380 mm - Profondita' 145 mm - Peso 5.5 kg - Volume interno 4.5 l - Impedenza 8 ohm - Potenza nominale 60 w - Potenza musicale 120w - Sensibilita' 87/1w/1m - Risposta in frequenza 60 hz-43khz a 6db - Crossower :12.12 Finiture legno naturale nero laccato, bianco laccato. S stands for Surround. 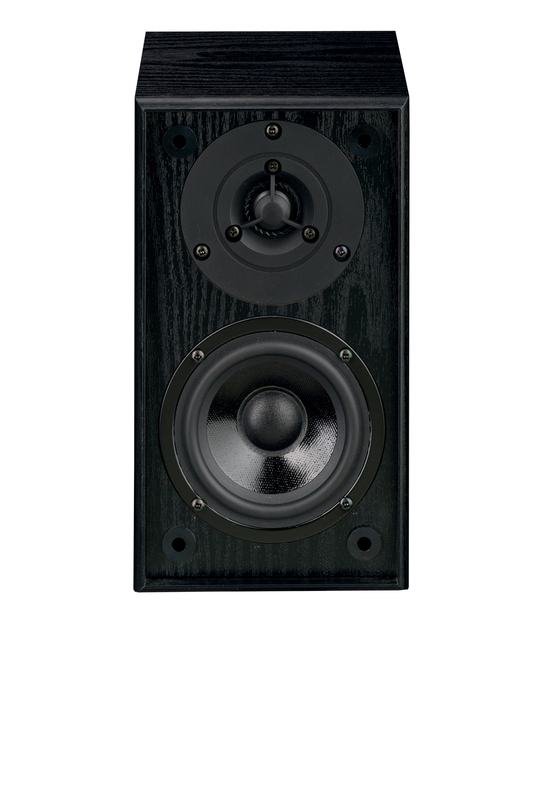 The most diminutive in the series, Pontos S is specifically designed for surround duties. Front port allows for near/on wall placement and is shaped on the outside and on the inside to eliminate the port noise. BT1 or AQ Sat 4 can be used for on wall placement.Enclosure is made from MDF panels and the baffle uses proprietary sandwich construction. Because of its compactness, the enclosure is extremely rigid. Removable grille uses invisible magnet system that makes for visually clean front baffle. High quality binding posts allow for bi-wiring and bi-amping. 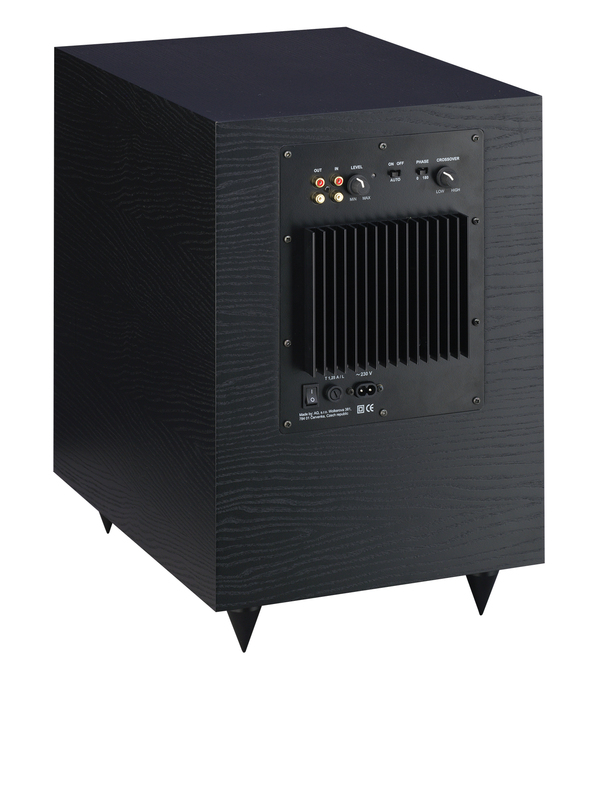 AUDIOQUEST Rocket 33 was selected for internal wiring that is also recommended for system connection with an amplifier.High quality Scan-Speak drivers are used in Pontos 9. Cast aluminum frames and extremely rigid fiberglass cones of the mid-bass driver assure very dynamic sound. Ring radiator tweeter provides for wide soundstage and extended frequency response Eight-layer high gloss finish is visually striking and also acoustically reinforces front baffle. Pontos S is the most compact model in the Pontos series yet offers immaculate sound and performs exceedingly well in small to midsize rooms.Pontos S where S is for surround pushes the envelope of surround sound and establishes a new benchmark in Home Theater.Finish Black High Gloss, White High Gloss, Custom finishes available upon request.Identical loudspeakres to Pontos 9, but with reduced depth (15cm incl. cover frame). 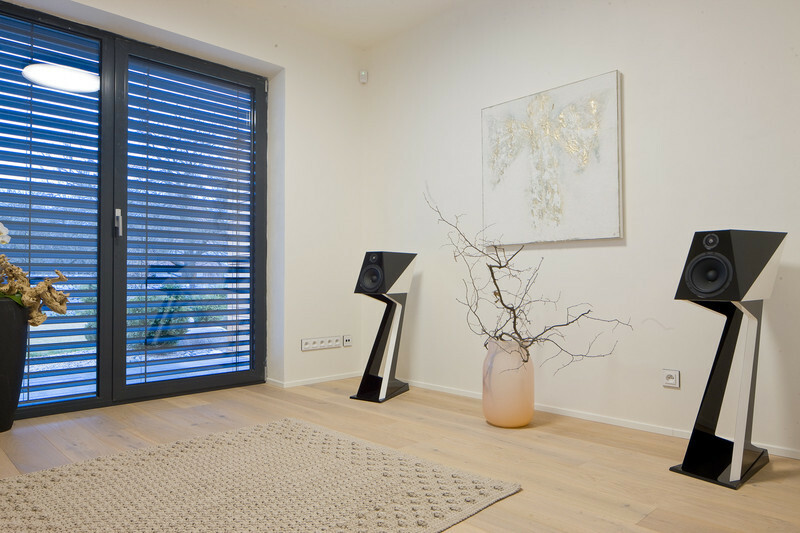 Front bassreflex location allows installation directly on a wall and for example to upgrade sound of TV distinctly. It is also possible to use the box as a surround for home theatre loudspeakers. 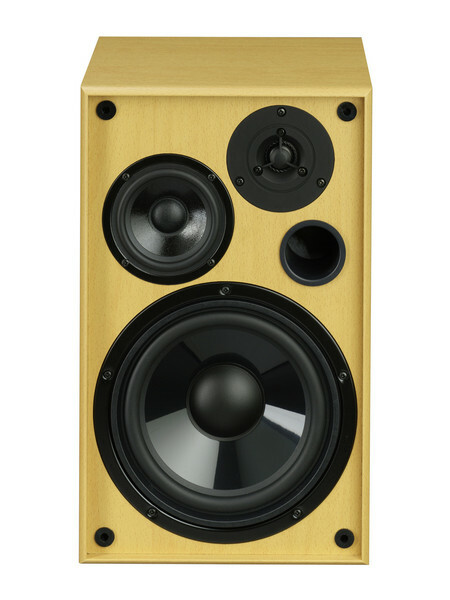 Dimensions (wxhxd): 180 x 380 x 145 mm, 5,5 kg Price for one speaker . Properly set up Home Theater cannot exist without a dedicated center channel. 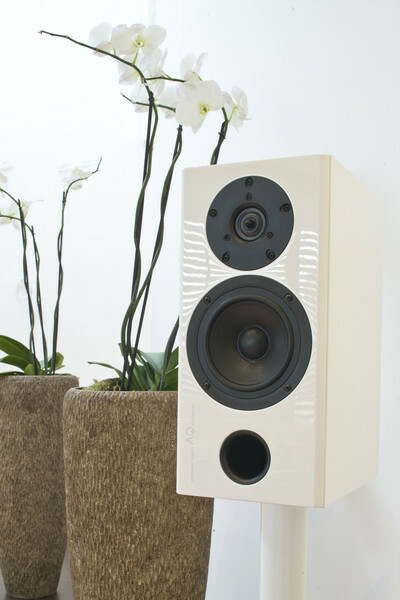 AQ brings in Pontos C such a high quality dedicated loudspeaker. 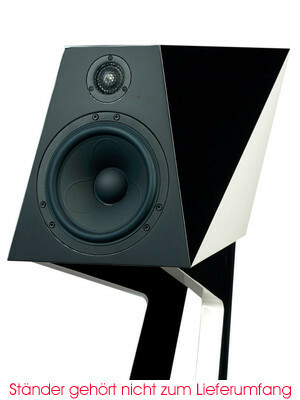 It is in fact a very precise audiophile two-way loudspeaker with a D’Appolito baffle arrangement. Enclosure is made from MDF panels finished in superb polyester high gloss lacquer. To achieve a perfect paint finish 8 layers of lacquer are applied to create a rigid and anti-resonant enclosure. The baffle is a proprietary sandwich construction with flush mounted drivers eliminating edge diffraction. Drivers are Scan-Speak, a pair of mid-woofers with carbon fiber membrane joining efforts in the enclosure. 1” ring radiator fabric tweeter guarantees excellent directional characteristics for high frequencies and also above 20 kHz.Internal wiring uses point to point technique and is directly soldered to the contacts on the transducers and terminals, eliminating the possibility of contact resistance. Due to the small depth, Pontos C can be placed on walls in a small proximity to flat screens. 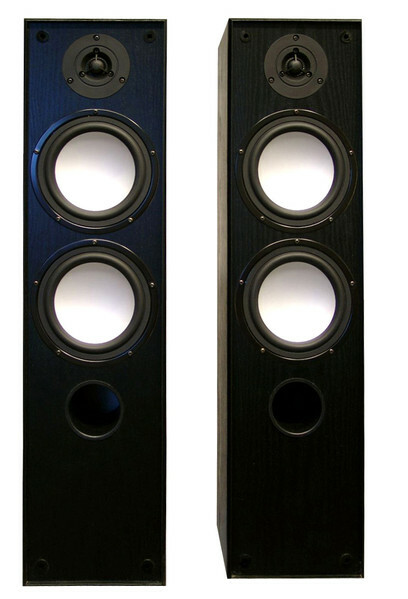 Thanks to the flawless execution of these high-end cinema loudspeakers actors appear right in front the viewer/listener.Finish Black High Gloss, White High Gloss, Custom finishes available upon request.Center loudspeaker uses 2 bass speakers and Scan-Speak tweeter. 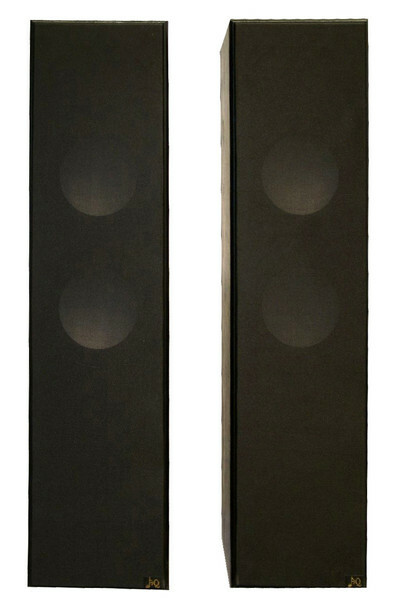 Designed for Pontos line laudspeakers, but possible to use also within other laudspeakers line. Rigorous speech zone performance. 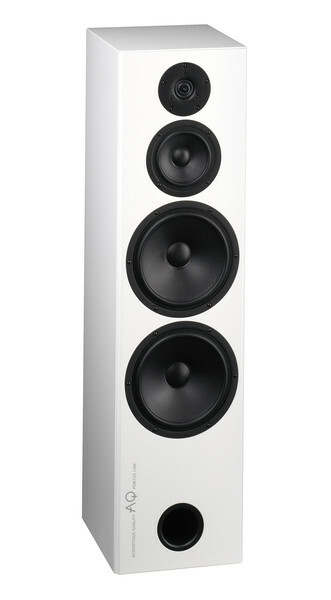 Dimensions (wxhxd): 650 x 175 x 185 mm, 11kg Price for one speaker . The flagship in the AQ fleet. 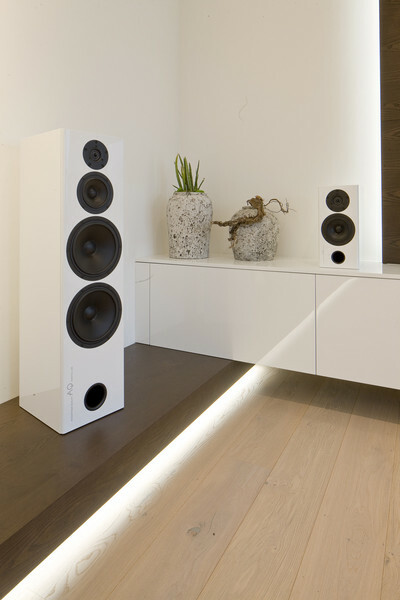 The Passion Loudspeakers are based on 25 years of expert loudspeaker design and the exquisite lines of the highly advanced enclosure designed by NOVAGUE DESIGN. Passion took two years to develop with progressive know how of the preceding Donna series. Cost was no object in the development of the Passion series, which established new absolute criteria and desire for impeccable musical delivery. Out of this passionate desire Passion was born Novague is a cutting edge industrial Design Studio based in Czech Republic that has received many design accolades. Their name is synonymous with ERKO R2 Car, The EDGE Chair, Favorit bicycle and the Solaris motorboat. 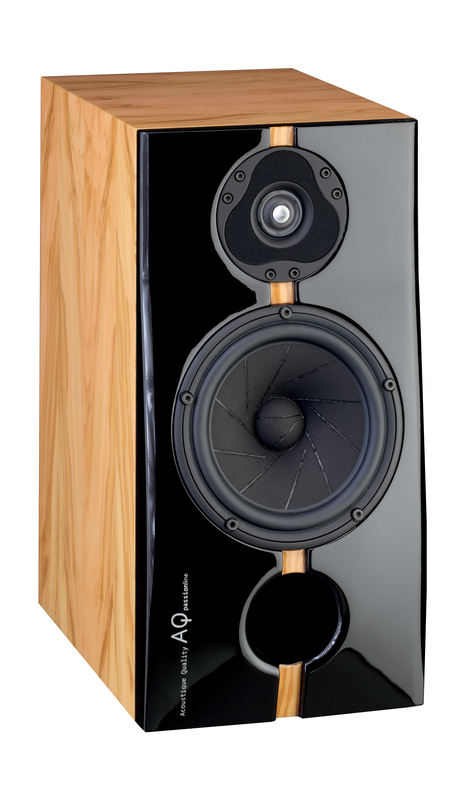 To achieve full range sound AQ Passion is designed as a three-way speaker with finely tuned bass reflex enclosure. Baffle is an asymmetrical shell consisting of a proprietary sandwich laminated wood-fiber material with integrated active system of internal damping BDS. Outstanding Danish Scan-Speak drivers were selected for all three sections, providing impeccable integration. 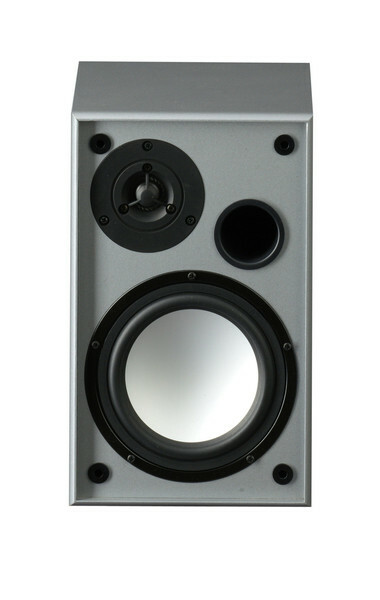 Tweeter section is highlighted by a 1” Illuminator high frequency driver with a field of six neodymium magnets, forming a symmetrical drive SD-2 with its own acoustic chamber. Positive impact on the directional characteristics of high frequencies has integrated aluminum phase plug, which also provides heat dissipation. 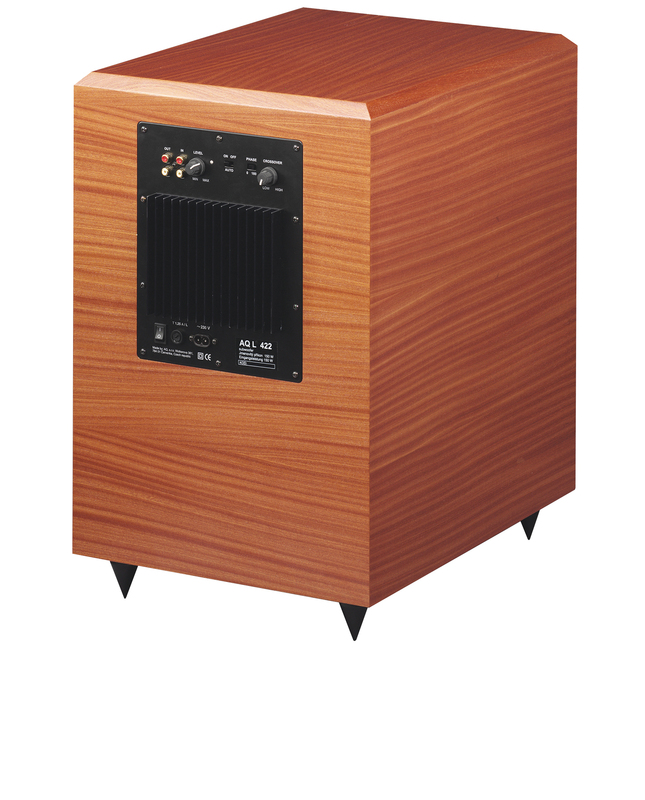 Illuminator has a maximally balanced frequency response up to 45 kHz. The oscillating part is composed with half of the toroid and not a spherical cap, as usual. To reduce the diffraction, a damping rubberized rosette is inserted around the tweeter’s membrane. 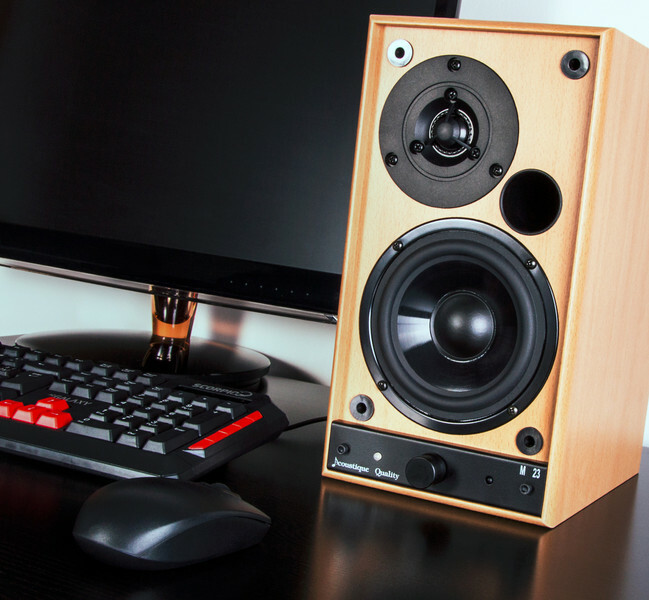 The Scan-Speak midrange driver compliments seamlessly the tweeter section. It has a symmetrical drive SD-3, where the magnetic field is generated by neodymium magnet. Sophisticated cone with integrated flat ridges is designed to suppress the standing waves and is attached to linear rubber suspension. 3D sculpted baffle below the midrange features 10” Revelator bass driver that is attached with metric tensile strength bolts. 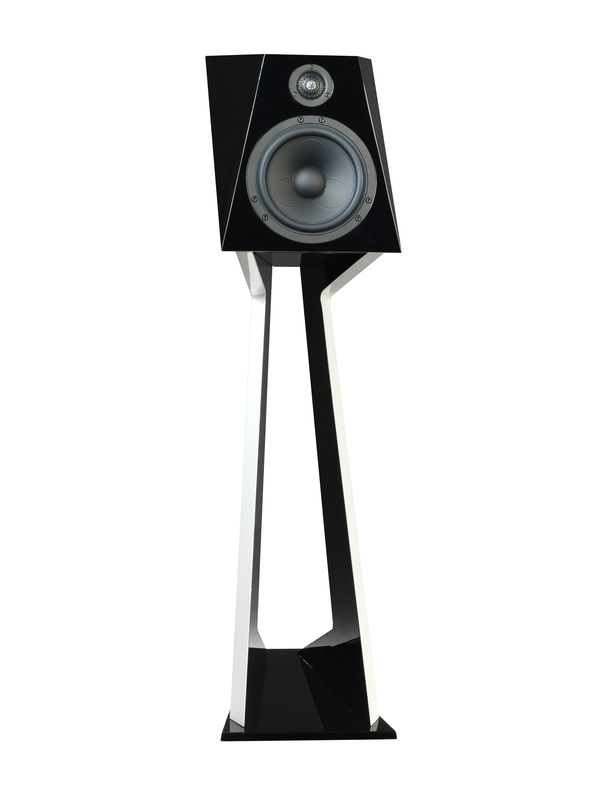 10“ Revelator has advanced carbon fiber reinforced paper cone and has extremely low distortion and high power. 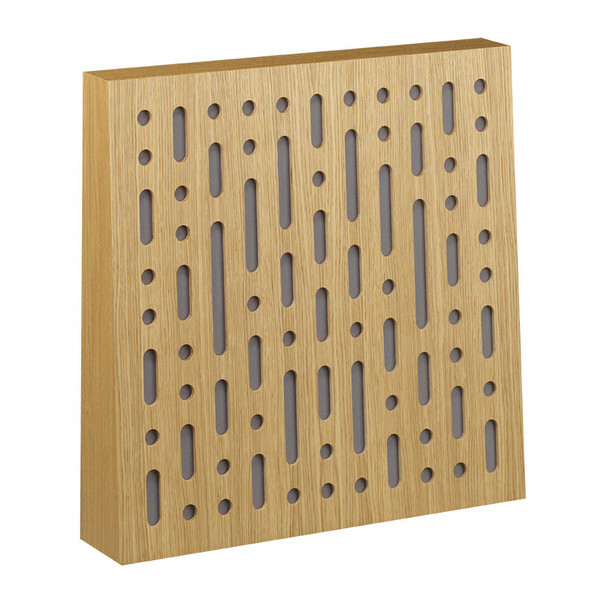 Spatial 3D speaker baffle is one of the key steps to achieving extremely flat phase response. 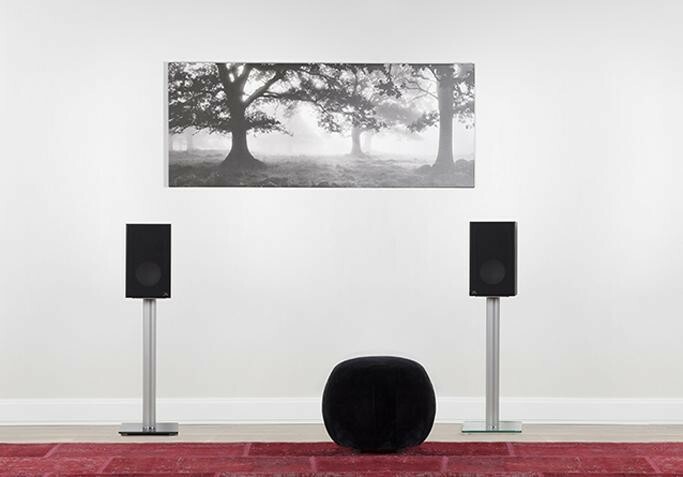 With its proper spatial orientation, the acoustic axis of the loudspeaker is directed to the seated listener, not the floor, as is common for standard although expensive speakers. Additionally, flush mounting of the drivers eliminates edge FINISHdiffraction. 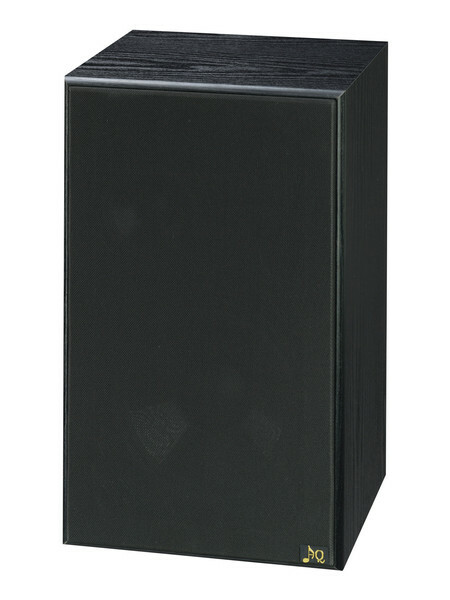 Asymmetrically shaped enclosure eliminates interior standing waves and provides outstanding rigidity to the loudspeaker. The resulting sound is highly accurate and pristine. Highest quality AUDIOQUEST Castle Rock internal wiring is used throughout. It features Solid Core and DBS system and it is thermally soldered. Internal Crossover features hand selected, matched components that are point to point soldered on 10mm panel. Aircore woofer coil uses impressive 4mm2 high purity copper wire. 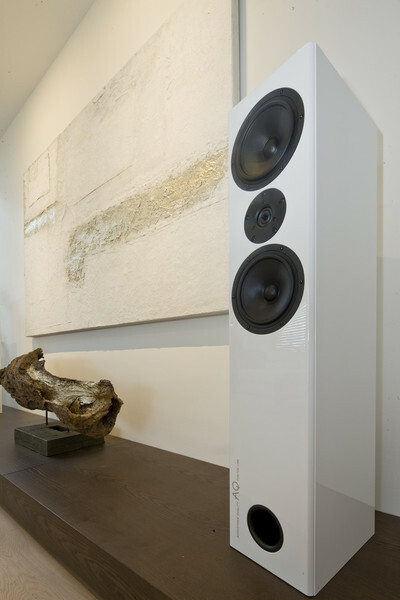 Audio Press: „Given the massive woofer it is not surprising that AQ Passion appreciates powerful amplifier, but what is pleasantly surprising is the astounding accuracy and balanced presentation. 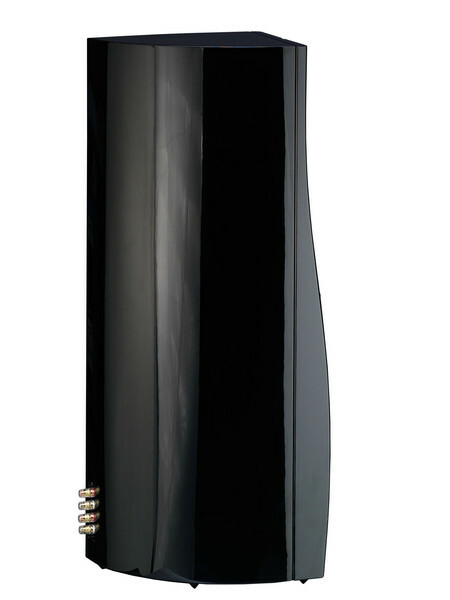 Overall, the Passion loudspeakers behave more like an audiophile two-way and with powerful bass driver filling the lowest octaves.“ Loudspeakers AQ Passion received A’ Design Award & Competition 2015–2016 international award in audio, sound and music category. This award signifies exceptional innovative and design provenance PASSION width 300 mm height 1,220mm depth 440mm weight 55kg internal volume 50l impedance 6ohm max. noise 140W max. short-time 220W sensitivity 89dB/1W/1m frequency response 20Hz – 45kHz within 4dB crossover slope 12,6/12,12 dB/oct finish Black High Gloss, White High Gloss, Custom finishes available upon request.Price for one speaker . Dimensioni : larghezza 226 mm - Altezza 450 mm - Profondita' 360 mm - Peso 15.5 kg - Volume interno 21 l - Impedenza 6 ohm - Potenza nominale 70 w - Potenza musicale 160w - Sensibilita' 89/1w/1m - Risposta in frequenza 30 hz-45 khz a 4db - Crossower :6.6 db/oct - Finiture lnero laccato, bianco laccato,legno naturale laccato altri colori su richiesta. Small in size, big on sound, with a wonderful heart and full of passion for music. This is the compact two-way speaker Passion Teen. Her heart is of Scandinavian origins and the best pedigree. Scan-Speak is true royal family in the world of drivers and the Passion Teen features the best from Scan-Speak, fitting her slender body. The tweeter is the latest in the series of 1" Illuminators. Membrane does not form a spherical cap, as usual, but in this case the membrane has the partial shape of a toroid. Centrally placed metal Phase plug improves cooling and guarantees outstanding flat frequency response ± 2 dB from 1 kHz to airy 30 kHz. Metal Faceplate features porous rubber that suppresses acoustic diffraction. Six neodymium magnets positioned in the AirCirc rear chamber creates permanent magnetic field.6.5" Scan-Speak Revelator series of the same royal pedigree handles midrange and the bass. Paper membrane is sliced with irregular grooves and filled with proprietary damping material. This solution significantly reduces the possibility of standing waves on the membrane and membrane breakup. The suspension is low loss rubber SBR and allows extreme x-max up to 13 mm. The result is outstanding transfer of extremely low frequencies. The magnetic drive consists of a proprietary symmetric linear motor SD -1. Passion Teen baffle was created through advanced 3D modeling and is produced on a five-axis CNC from a 50 mm HD MDF panel. Drivers are mounted with high tensile strength metric screws to optimal tension that unifies the driver and the baffle into one element. The loudspeaker enclosure is manufactured with a sandwich technology with an active BDS damping and non-reflective internal panels. With this advanced construction, the entire enclosure is incredibly rigid and eliminates resonances and the internal standing waves. Spatial location enables the acoustic axis directed to the seated audience, the transition zone between the drivers is phase correct and there is no diffraction. The superiority of the driver’s internal crossover results in a first order that has the advantage of minimal phase shift. Internal wiring is Solid Core AUDIOQUEST. Crossover components are hand selected, individually measured, matched and are point to point wired and thermally soldered. 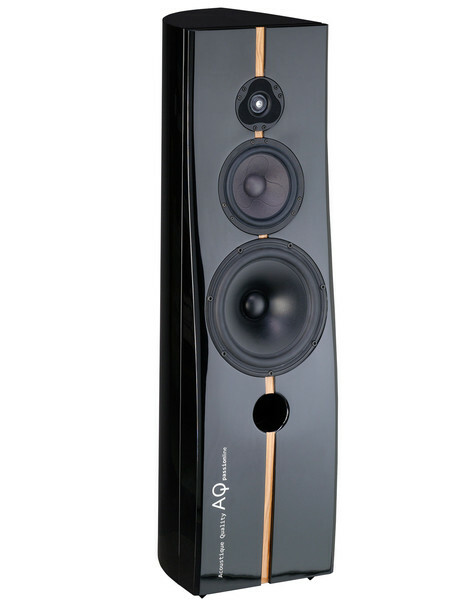 Internal wiring is soldered directly to the contacts on the transducers and terminals, eliminating the possibility of contact resistance.AQ Passion Teen excels with breathtaking and superbly transparent midrange and with outstandingly smooth frequency characteristics. 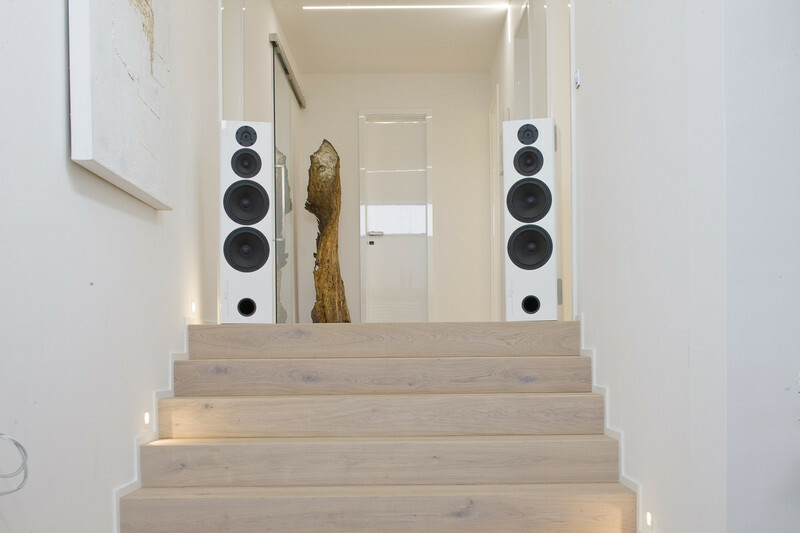 All of the above efforts guarantee an amazing 3db measured performance from 800Hz to 30kHz .Also uncompromising solution built on Scan-speak drivers, but in more subtle design suitable for smaller spaces. Also here is used the same technology as by the higher model, bringing totally controlled bass and unique space performance. Dimensions (wxhxd) 226 x 450 x 360 mm, weight 15,5 kg PASSION TEEN width 226mm height 450mm depth 360mm weight 15.5kg internal volume 21l impedance 6ohm max. noise 70W max. 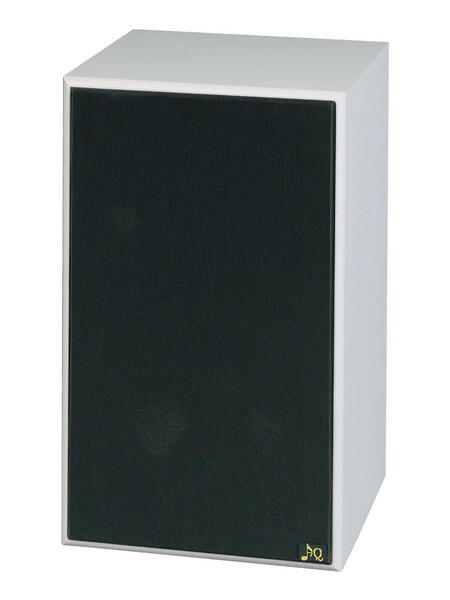 short-time 160W sensitivity 89dB / 1W / 1m frequency response 30Hz – 45kHz within 4dB crossover slope 6,6 dB/oct finish Natural Wood in High Gloss with Black High Gloss or White High Gloss Baffle, Custom finishes available upon request. Price for one speaker . Dimensioni : larghezza 256 mm - Altezza 280 mm - Profondita' 411 mm - Peso 14 kg - Volume interno 14 l - Impedenza 8 ohm - Potenza nominale 80 w - Potenza musicale 160w - Sensibilita' 89/1w/1m - Risposta in frequenza 30 hz-40 khz a 4db - Crossower :12.6 db/oct - Finiture lnero laccato, bianco laccato altri colori su richiesta. 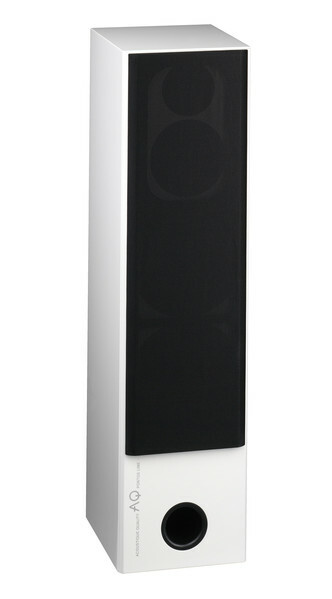 Two-way loudspeaker in Passion line has truly expressive and befitting name Orca. Orca is elegant and beautiful, yet her ferocious beauty is not for everyone. Orca can be affectionate and fierce, cold and playful. Her sharp teeth can gently grasp, but also thoroughly bite. 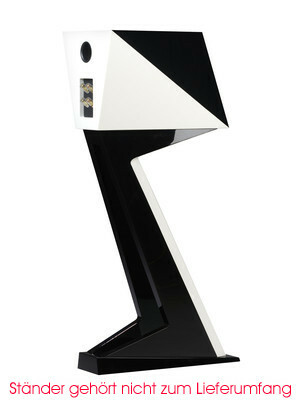 Orca is elegant in motion and when looking at the Orca Passion Stand the black and white combination is captivating and is as fascinating as a killer whale jumping above the water surface. Beauty is not just skin deep; the shape of the body, strength and coordination of muscles, devotion and keen senses determine beauty.Orca’s beauty was shaped by natural selection through millions of years of evolution. Physical laws define beauty and functionality of AQ Passion Orca. Multiple small segments form the baffle and the enclosure. 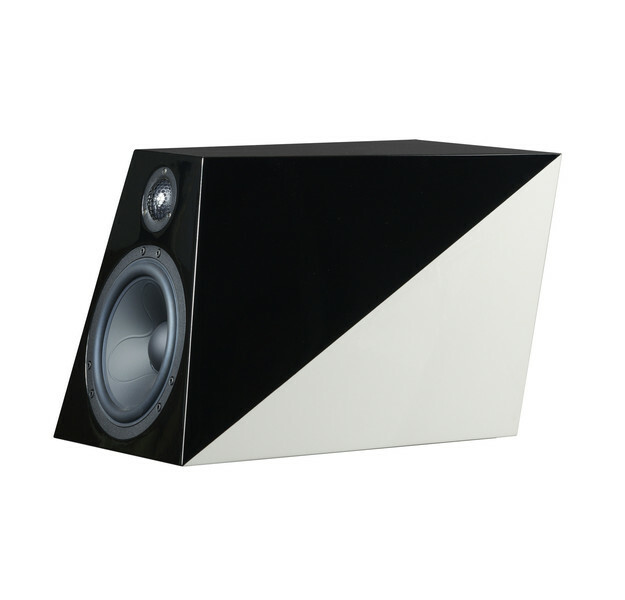 This origami like segments creates extremely rigid speaker cabinet while minimizing parallel surfaces and eliminating the internal standing waves. Internal waves are typically formed by large parallel surfaces. The sound wave is reflected off the walls as a mirror image - a phenomenon where a new sound wave is created and is reflected back to the cone of the driver. Multitude of frequencies starts to amplify, attenuate others and cause an undesirable distortion. The very shape of the Orca achieves significant reduction of parallel surfaces. The segmented areas have additional advantage – a small dimensionality. 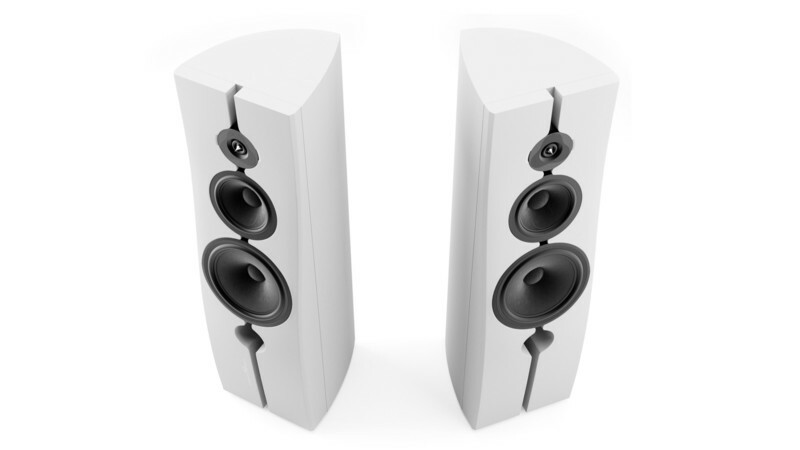 Small areas are much more resistant to resonances yet another disadvantage of a typical loudspeaker. Orca small-segmented walls are much more resistant to resonances and are crucial design element as wall segments are connected at an angle that increases the overall rigidity of the enclosure. This precise and complex manufacturing technology elevates Orca beyond typical loudspeaker production and it allows removing voluminous internal bracing thus allowing a slender dimensions. To achieve perfection a BDS active resonance correction was also applied. Resulting enclosure is incredibly rigid and resonance free and delivers an astonishing performance.However the beautiful, slender body houses a mighty heart of an athlete. High End drivers from prestigious Scandinavian Scan-Speak were carefully selected to achieve an optimum performance. Directly from top of the line Illuminator Woofer a six-inch 8747 with 3D aluminum cone was selected to fulfill mid-bass duties. 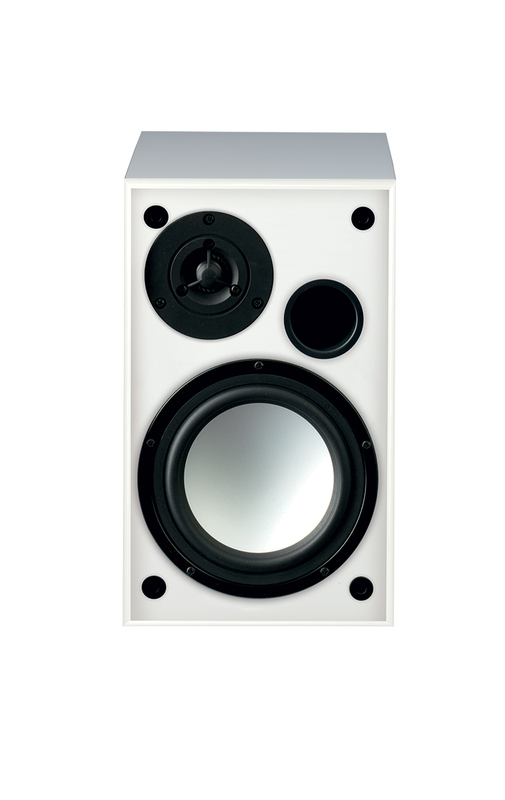 Cast frame and neodymium magnet ensures extremely linear and long motion of the cone.A visually splendid ring radiator tweeter R3004/66020-00 was selected to compliment this exceptional mid-bass. The tweeter also matches the mid-bass with its technical proves and features ring neodymium magnet, patented symmetrical drive SD-2, patented phase plug and sound transparent protective grille.All of the elements of an exceptional loudspeaker need to work in harmony. The enclosure and the drivers no matter how outstanding will not perform without precise internal neurological network – a crossover. Orca crossover is built on massive polyethylene panel, that features point to point wiring and machined spaces for contacts and crossover elements that are firmly secured to the panel with adhesive and screws. Yet all of this would not work without a proper blood supply.In Orca the blood is delivered with superb network of arteries and the arteries in Orca Loudspeakers is exquisite Audioquest Solid Core with structure-oriented copper.The terminals combine work of art and precise engineering to allow firm and superb connection to the amplifier signal.These custom terminals feature machined polyethylene plate, solid core gold plated copper connectors allowing for bare wire, banana and spadeconnections. Bi-wiring and Bi-Amping is also possible. Orca depends on strong muscular tale to charter the waters. 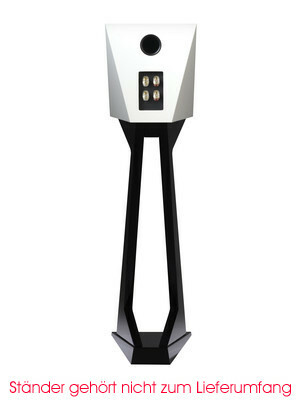 Orca Loudspeaker depends on design specific stand that allows proper support, listening height and absolutely compliments the slender beauty. To secure precise alignment a series of hidden neodymium magnets were imbedded in the enclosure and the stand. Antivibration pads reduce vibration transmission to the stand and quartet or audiophile trio of spikes further reduce transmission to the floor. 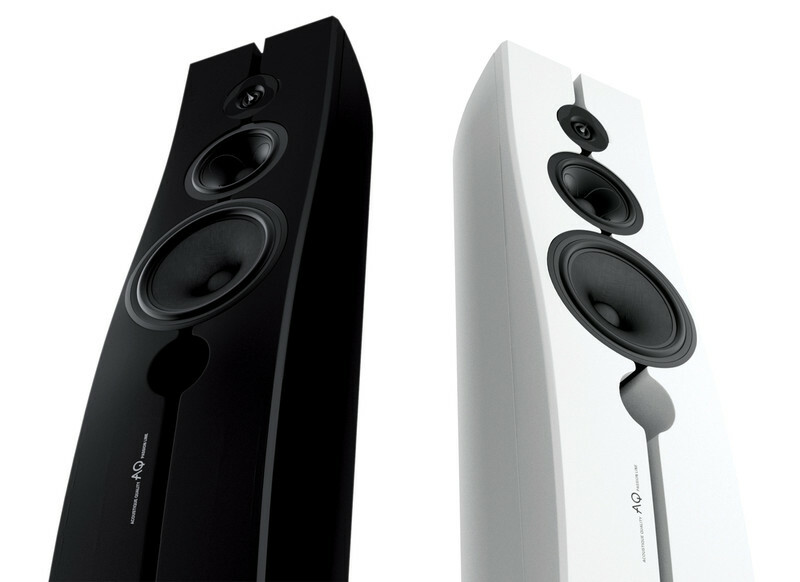 Although modest in size Orca sound is astonishinglypowerful and voluminous. It’s a floorstanding loudspeaker in a rather diminutive enclosure. Technical parameters: System: 2-way Impedance: 8 Ohm Max. noise: 80W Max. 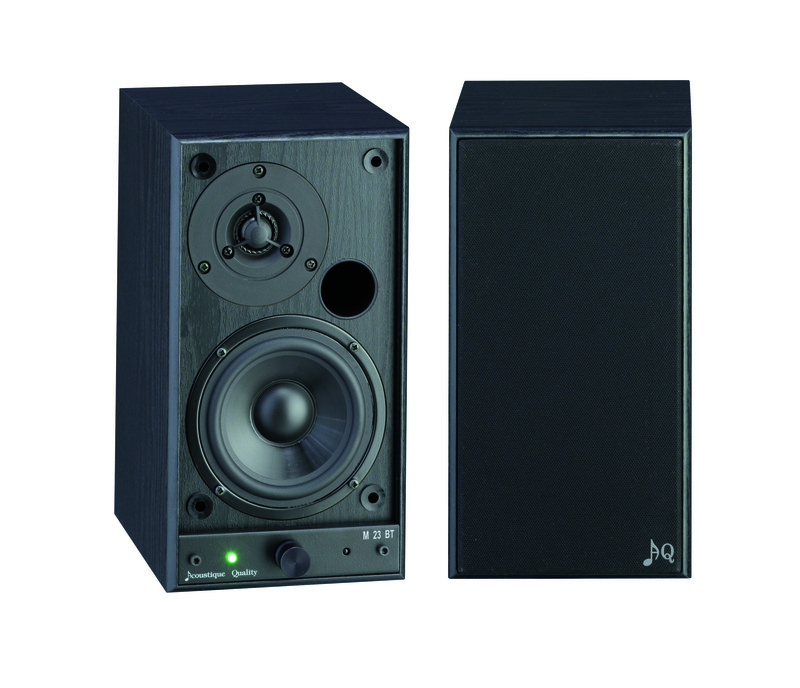 short-time: 160WSensitivity: 89dB/1W/1mFrequency response: 30Hz - 40kHz within 4dB Crossover slope: 12,6 dB/octDimensions (wxhxd): 256mm x 280mm x 411mm Weight: 14kg Internal volume: 15l System bassreflex. Price for one speaker . Dimensioni : larghezza 320 mm - Altezza 470 mm - Profondita' 440 mm - Peso 20 kg - Volume interno 36 l - Pressione di livello 120 db/1mSensibilita' 500 mv- Risposta in frequenza 25 hz-140 hz- Crossower :12db-regolabile 40-140 hz Finiture nero ,cherry,natural wood . Dimensioni : larghezza 360 mm - Altezza 585 mm - Profondita' 485 mm - Peso 27 kg - Volume interno 54 l -Pressione di livello 120 db/1mSensibilita' 500 mv- Risposta in frequenza 20 hz-140 hz- Crossower :12db-regolabile 40-140 hz-Finiture nero ,nlegno naturale,quercia,mogano,ciliegio. Dimensioni : larghezza 360 mm - Altezza 585 mm - Profondita' 485 mm - Peso 27 kg - Volume interno 54 l -Pressione di livello 120 db/1mSensibilita' 500 mv- Risposta in frequenza 20 hz-140 hz- Crossower :12db-regolabile 40-140 hz Finiture nero laccato, bianco laccato, altri colori su richiesta. Two channel amplifier with 50 Watt per channel, compact in size -- 190mm x 250mm -- with a solid aluminum base that acts as a heatsink. Massive Toroid transformer supplies adequate power, reaching peaks up to 120W. Back panel features 4 RCA inputs. 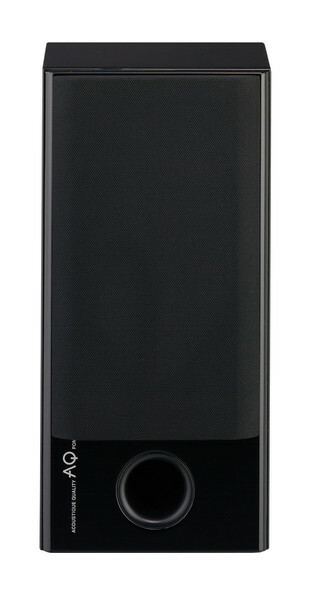 Solid black acrylic front panel has attractive underside display. When amplifier is active the display reads through the acrylic, in off mode the front panel is black and a small light indicates stand-by mode. AQ M4 USB - durable, reliable amplifier with USB input (designed only to connect amplifier and PC, not for connecting a flash drive or HDD!). After connecting the amplifier to your PC, the amplifier behaves like a external card, so you can avoid the often very poor sound cards. On the front side you will find two control elements: input switch and multifunction volume control, correction, balance and stand-by. 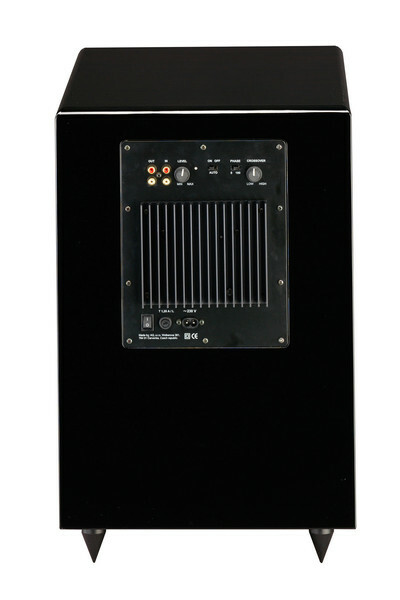 Furthermore, a display that provides information about selected input, volume, corrections, ...On the back side of the amplifier are 3 x RCA (RCA) stereo inputs, 1 x Mini USB input, 1 x RCA (cinch) stereo output (Pre-Out) terminals for the speaker connection, main switch 230 V, a fuse and a connector for 230V voltage. Remote control can control input swithing, volume, intensity of the display, adjusting the bass / treble, balance of left / right side, mute and stand-by. Preamplifier for magnet moving cartridge, external (switching) power supply (in packaging). Possible to connect turntable to devices without special phono input. New construction providing perfect noise reduction. The switch allows you to connect one pair of speakers alternately to two different amplifiers. E.g. stereo amplifier and AV reciever. Left and right channel switches separately. Universal stand. Height 600 mm, black, gaps for cable. Universal stand. Height 800 mm, black, gaps for cable. Speaker cable 2× 0,75mm² of high-purity oxygen-free (OFC) copper (OFC), very flexible, transparent and coil 200m, (sale per coil). Speaker cable 2× 1,5mm² of high-purity oxygen-free (OFC) copper (OFC), very flexible, transparent and coil 100m, (sale per coil). Speaker cable 2× 2,5mm² of high-purity oxygen-free (OFC) copper (OFC), very flexible, transparent and coil 100m, (sale per coil). Speaker cable 2× 4mm² of high-purity oxygen-free (OFC) copper (OFC), very flexible, transparent and coil 100m, (sale per coil).